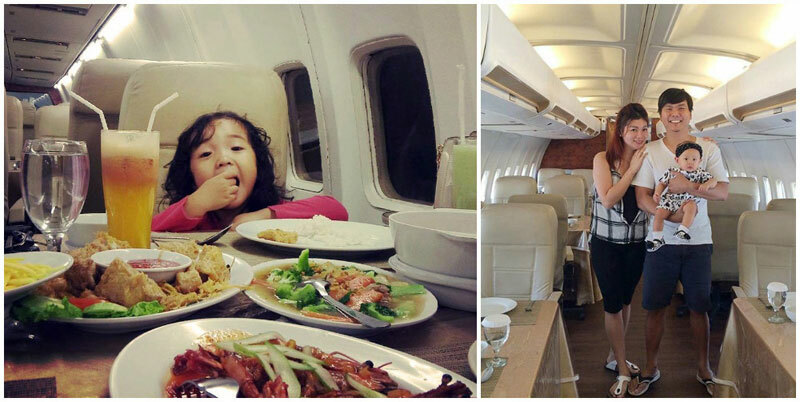 Are you on a business trip in Jakarta with the kids in tow? Or residing in this bustling city with bored kids? And when it’s time for a family meal, do you spend a lot of time researching for the best place to accommodate everyone? 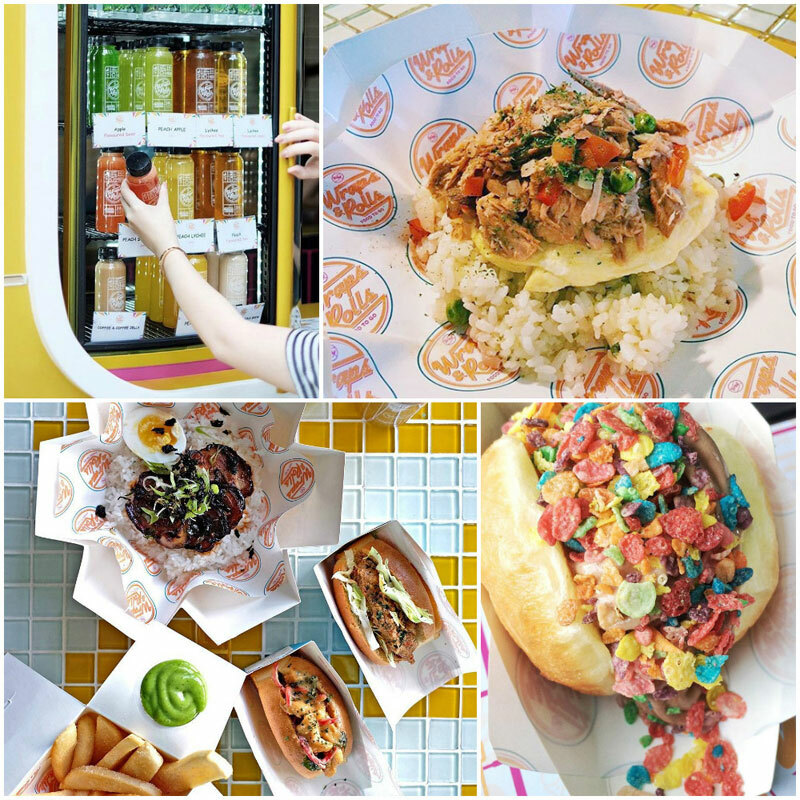 Trying to find a place that serves great food, accommodates picky eaters and also offers fun and games for the kids while parents enjoy their food can seem daunting to say the least. 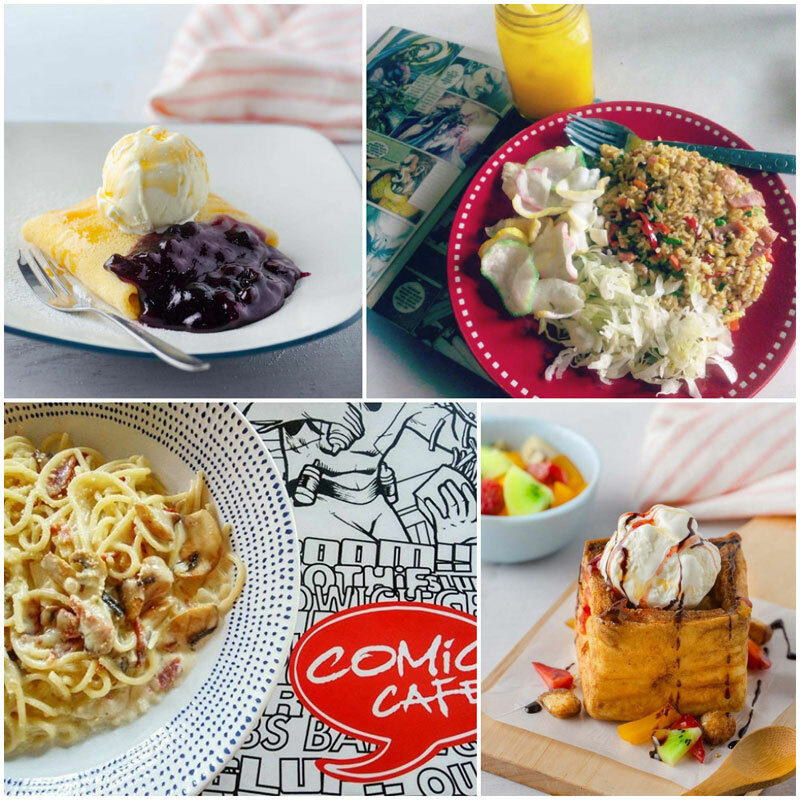 If you didn’t know that Jakarta actually houses many unique themed restaurants that will thrill you and your family on weekends, you probably wouldn’t have heard of some of these exciting kids-friendly restaurants we’ve dug out here for you! 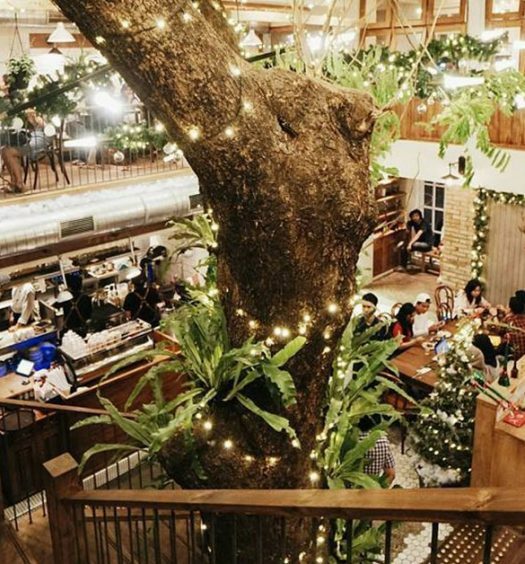 From dining on a jetplane to exploring an Alpine village, here are our picks for 13 Jakarta restaurants that offer yummy eats and hours of fun for the whole family! And after your tummies are filled, don’t forget to leave some room for these Instagrammable desserts! 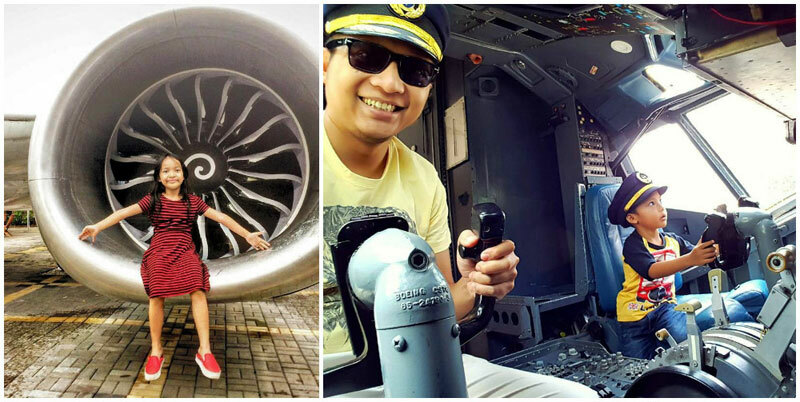 Calling all aspiring daredevils – it’s time to climb on board and experience the thrill of air travel, without actually leaving the ground! 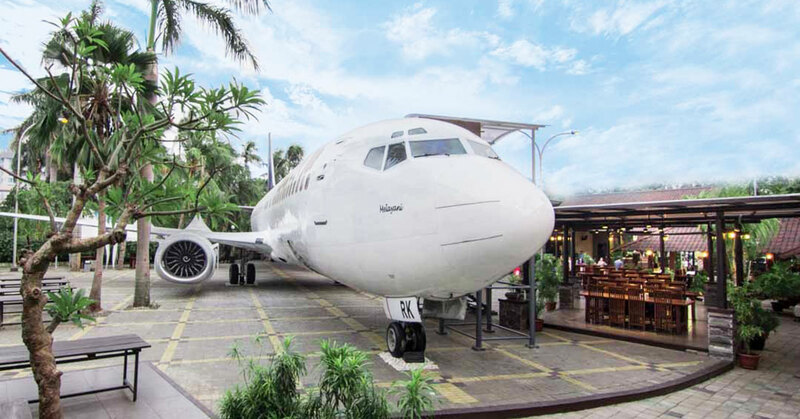 Taman Santap Rumah Kayu Ancol offers a truly one-of-a-kind dining experience, courtesy of the authentic airplane that sits in the restaurant’s lush garden. 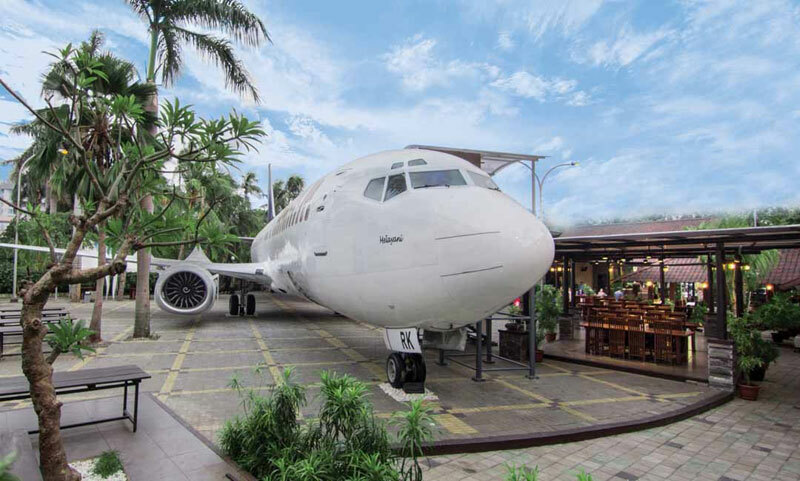 The plane makes a great backdrop for all family photos, regardless of whether you’re dining in the garden or in the plane itself. To keep the energetic little ones in check, just promise them a visit to the cockpit after they finish up their food! 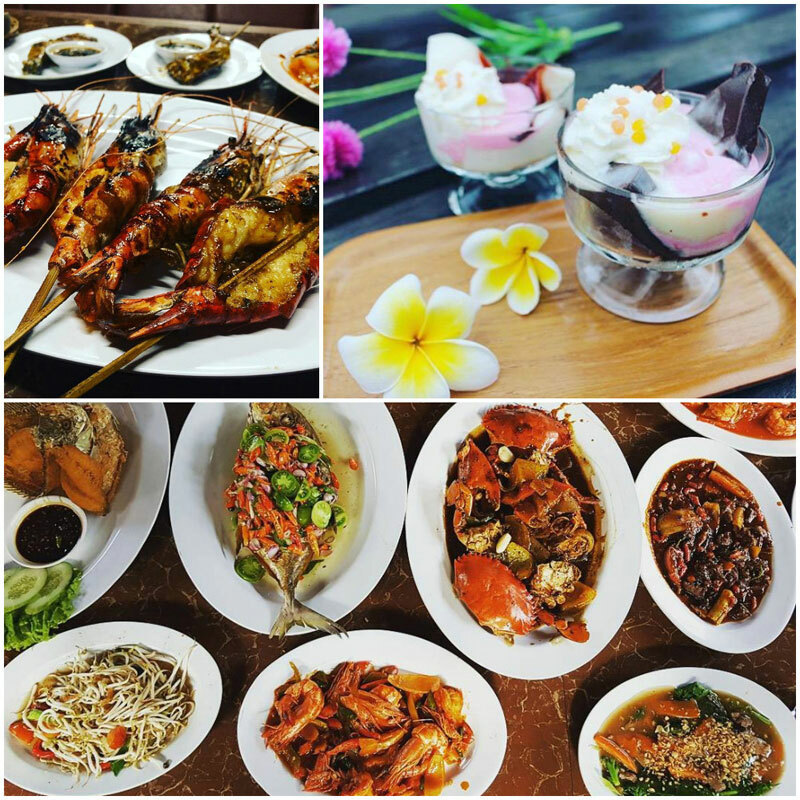 For food, the main draw here is the seafood – the grilled shrimp is irresistibly scrumptious, while their dessert puddings will leave a sweet taste in your mouth. 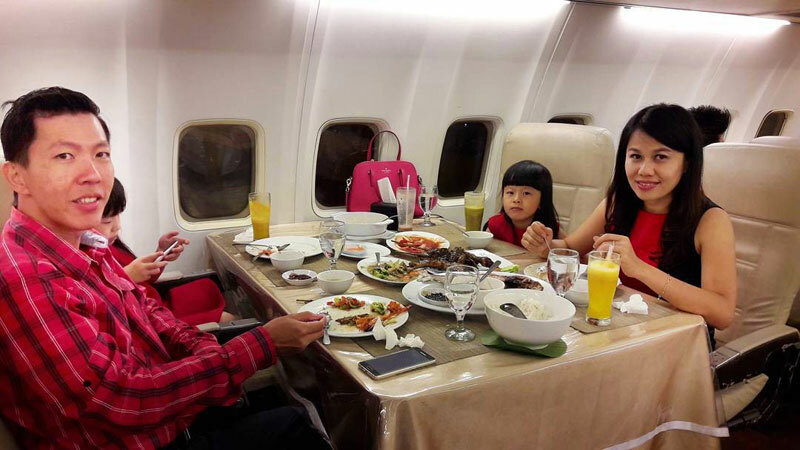 Before getting your head lost too far up in the clouds though, keep in mind that if you want to actually dine inside the airplane, you need to have a minimum order of Rp. 650,000++ (approximately USD $49). 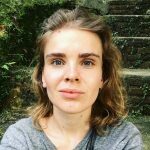 You must have heard of dining with lions and orangutans in Bali, but how about having a meal with these little creatures that supposedly only live in icy conditions? 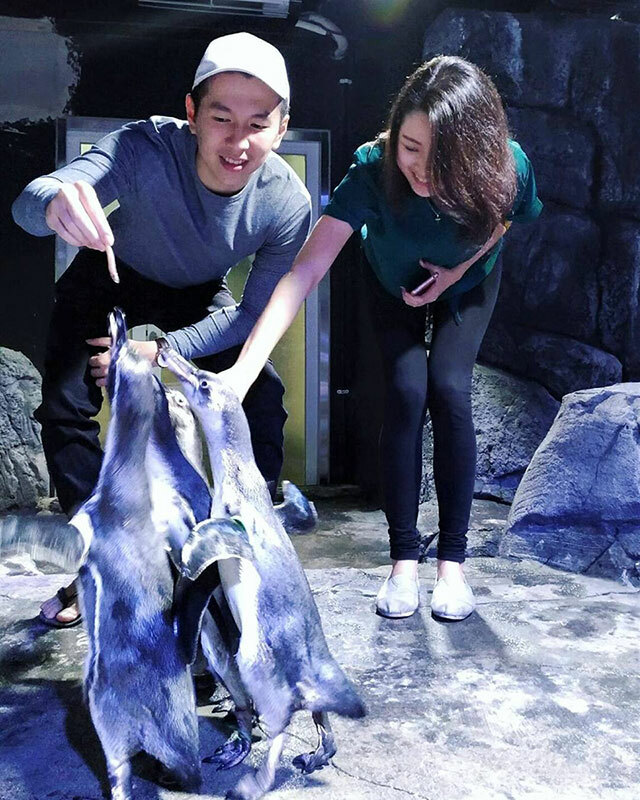 Your kids will love you if you bring them to this cute beach-house concept restaurant, where they can watch the Humboldt penguins at play in their aquarium, which is kept at 18°C – a temperature where these sub-tropic penguins can thrive. 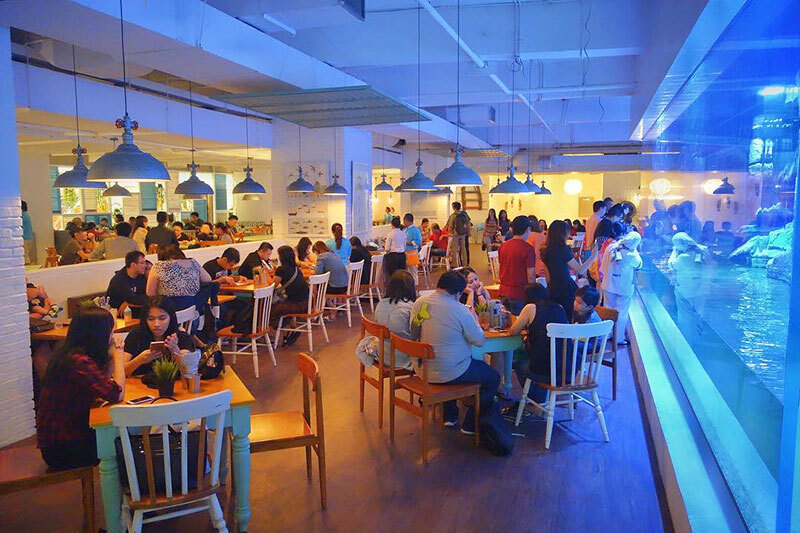 Opened in Dec 2016, Pingoo Restaurant is part of Jakarta Aquarium, an indoor aquarium supported by Taman Safari Indonesia. This is also part of their penguin conservation programme, to increase the population of this endangered species in a safe environment. In fact, as at January 2017, the offsprings are already of the 3rd generation! 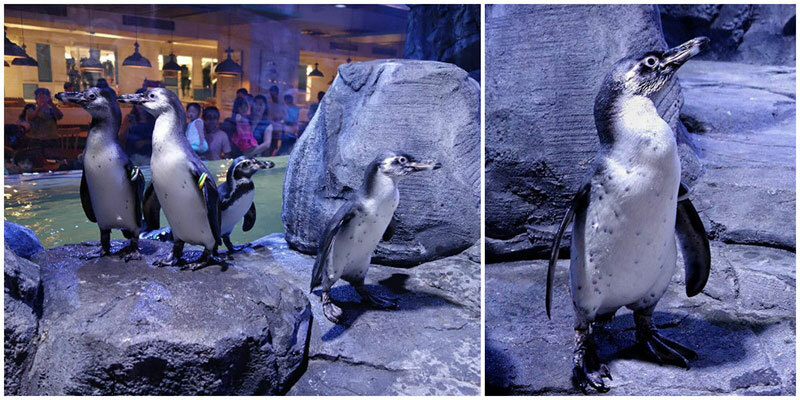 Trained professional teams of penguin keepers and aquarists from Jakarta Aquarium are taking care of the penguins daily. 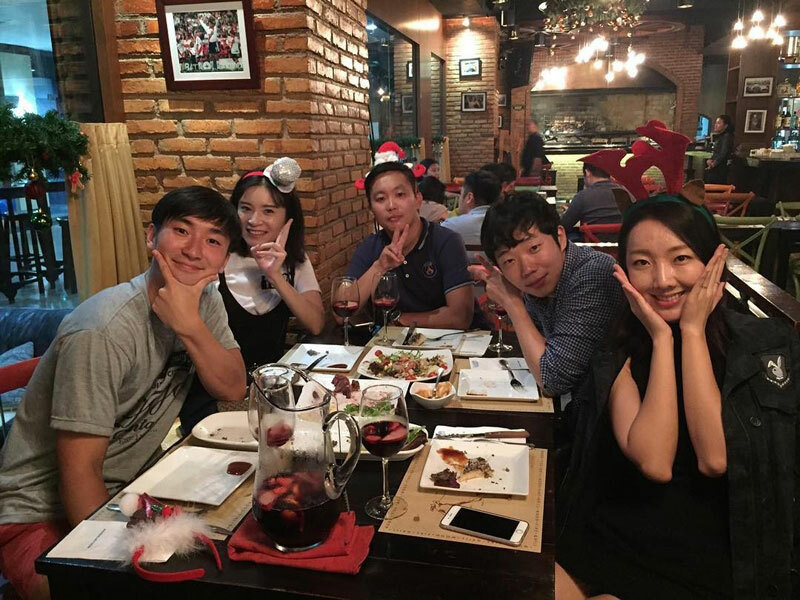 As for food, you can expect to find grilled Western dishes, together with seafood. And you don’t just get to feed yourself, but the penguins too! The Penguin Feeding Experience comes at Rp. 50,000 (approximately USD 4). If your kids ever get bored (which we doubt), there’s even a play area for them! 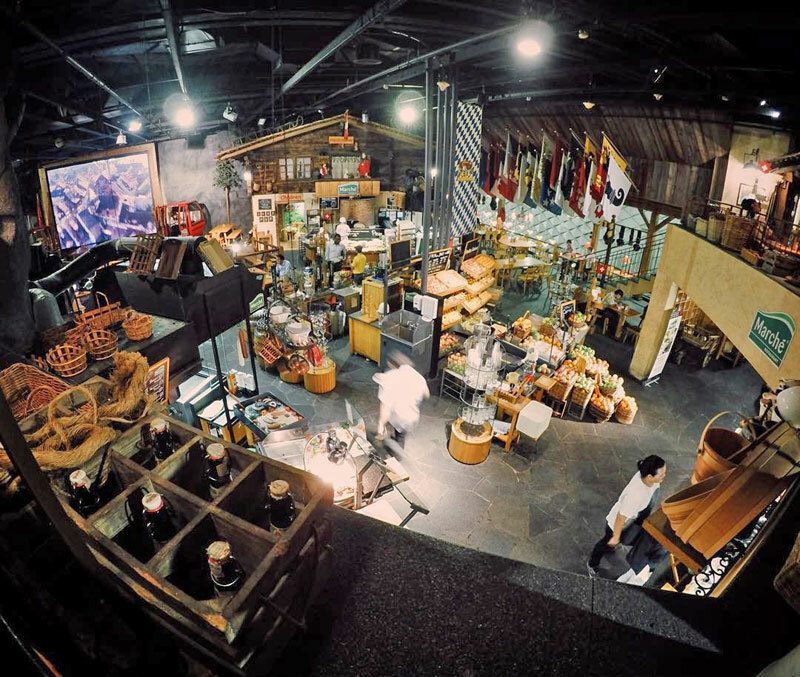 Do visit early during the weekends though, to avoid the crowd! 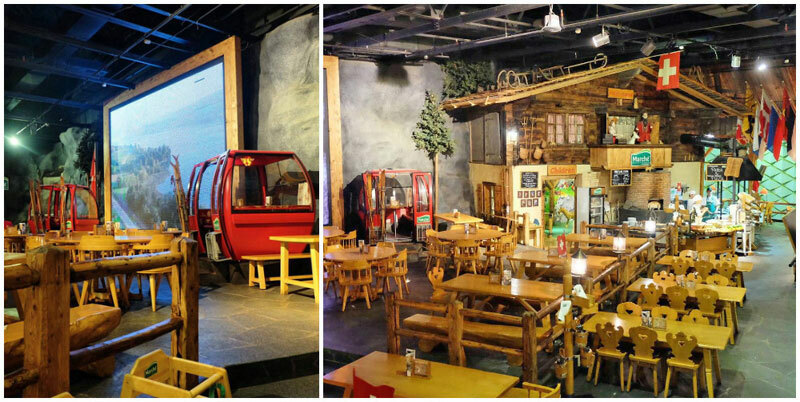 This Swiss-themed restaurant offers a whole world of fun for the little ones! 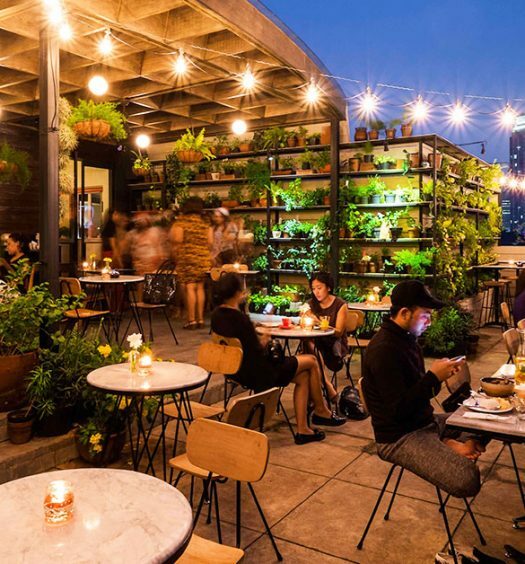 The restaurant’s design features mountain houses, cable cars and even an Alpine waterfall, all guaranteed to set your imagination soaring. “Heidi House” is a special play area dedicated to kids, inspired by the Alpine heroine of the beloved Swiss children’s book. 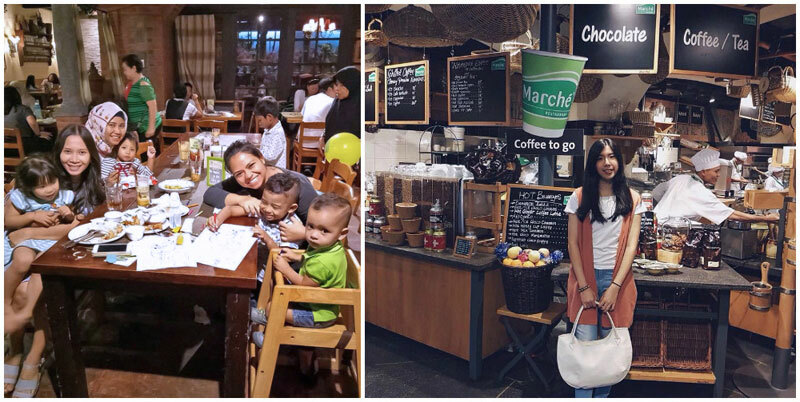 This designated romping ground allows the little ones to let loose and work up an appetite while the grown ups look through the market-stall-inspired food displays, which offer a wide variety of European dishes. And it’s not just about fun and games for the kids. Rather than sticking with your run-of-the-mill kids’ menu, Marche offers “Picky Meals” where the restaurant’s mascot Picky treats kiddos to a kid’s sized plate and the freedom to take their pick from whatever looks good that’s available in the restaurant – maybe it’s the savoury crepes or the quintessentially Swiss rösti potatoes – proving that versatile and healthy eating can be both fun and delicious! 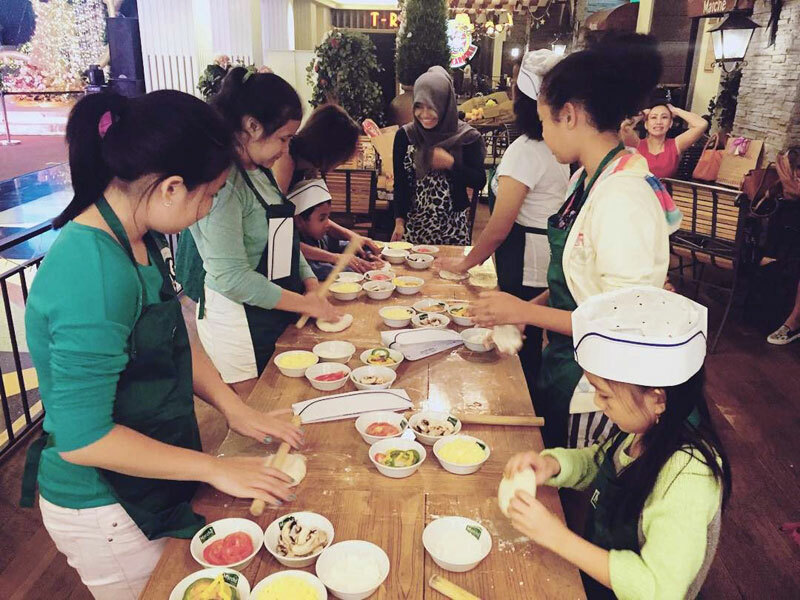 To channel their inner Master Chef Junior, Marche also offers a Kids’ Baking Class where little cooks get to dabble at pizza-making or learn how to whip up a batch of muffins. Cooking classes are priced at Rp. 145,000 (USD 11) per child and advance booking is required. 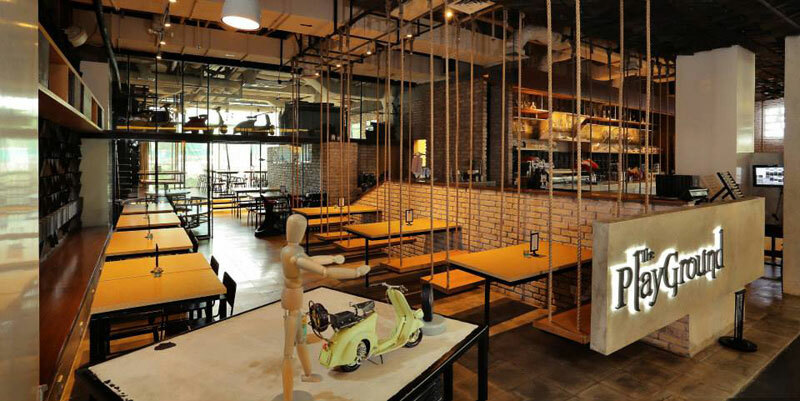 Get ready to swing your way into a food coma at this chic restaurant where the name says it all – at the Playground, even the seats are actual swings suspended from the ceiling! 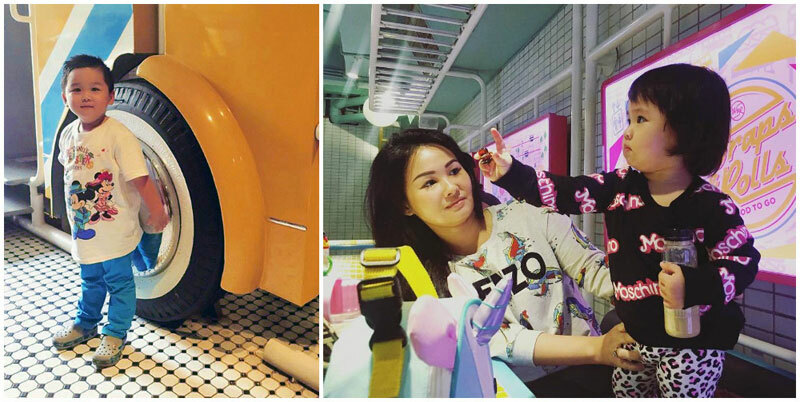 Besides swings, the Playground offers cute vintage-inspired toys for the kids – check out these adorable cars! 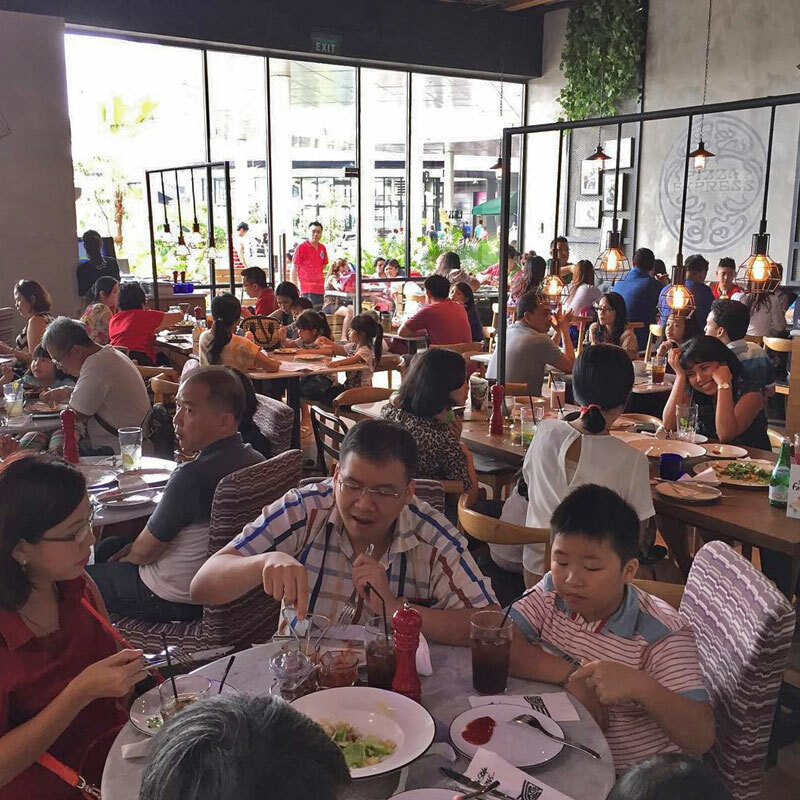 The Playground’s eclectic menu has a loose Italian theme and you should definitely not miss out on their delicious pasta offerings – the classic aglio olio is particularly tasty, but a bit on the spicy side so watch out! 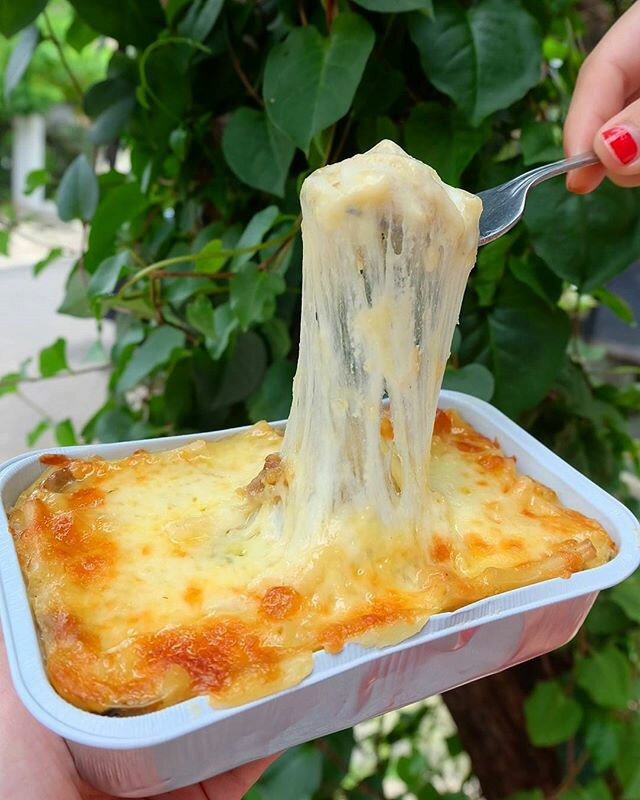 For a more cheesy option, try the outrageous truffle mac’n’cheese. For dessert, definitely go for their all-day martabak. These sweet treats are extravagantly topped off with ice cream, strawberries, chocolate and more. The Playground also has cute drinks served in bottles which come with an edible binky! Don’t be too quick to order this one for the kiddos though. Despite their innocent appearance, these whimsical drinks are in fact spiked with alcohol. Thanks to the venue’s chic aesthetics, The Playground is ideal when you want to keep the kids entertained but don’t want to sacrifice style. The restaurant also shows sports on big screens, so the sports fanatics won’t miss out on the big game while dining out with the family! Wraps and Rolls is so much more than a restaurant. 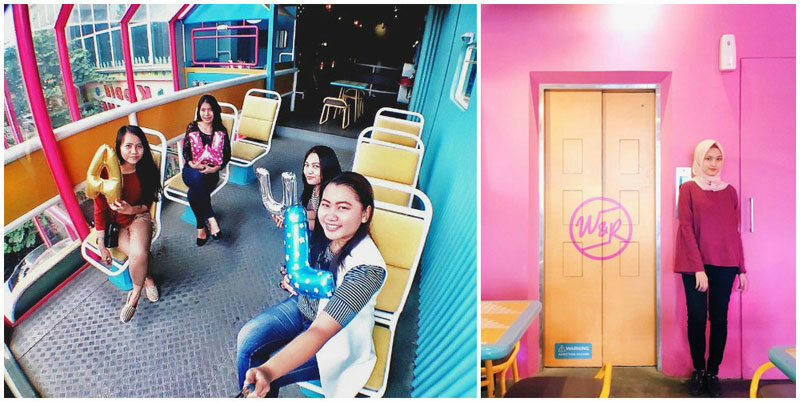 Thanks to the restaurant’s pastel-hued design mimicking a vintage bus, you’ll often find the place swarming with Instagram-happy couples snapping photos and kids staring in awe at all the bright colours. 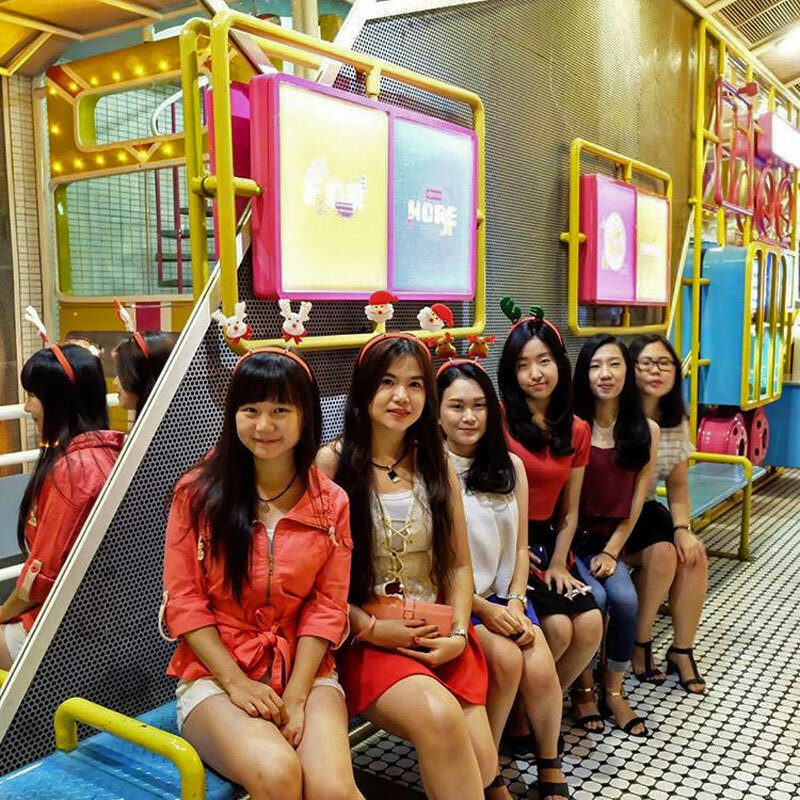 It’s practically every kids’ dream – hopping aboard your very own bus! 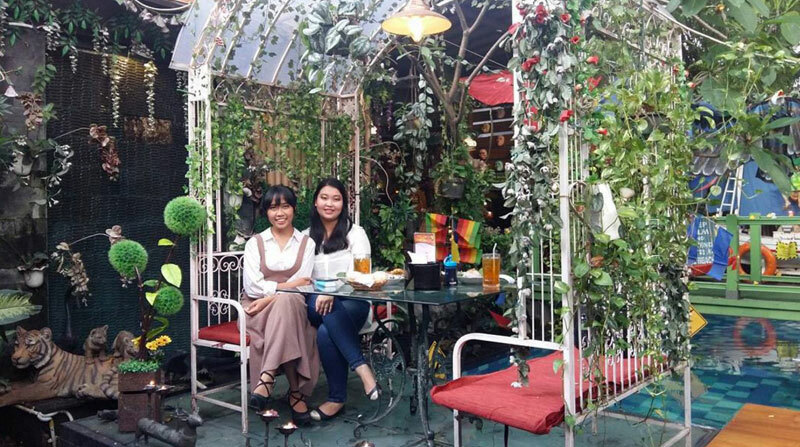 In keeping with the venue’s whimsical design, the dishes at Wraps and Rolls have cute names to match – try the Tuna Makarena (sautéed tuna with green peas and paprika served with an omelette). Finish off the meal with a Yumm-Bun – the restaurant’s signature ice cream served in a brioche bun. We’d be willing to bet that the kids will go crazy over the toppings – for an extra fee, you can add rainbow cereal, oreo crumbs and more on top of your already extravagant dessert. 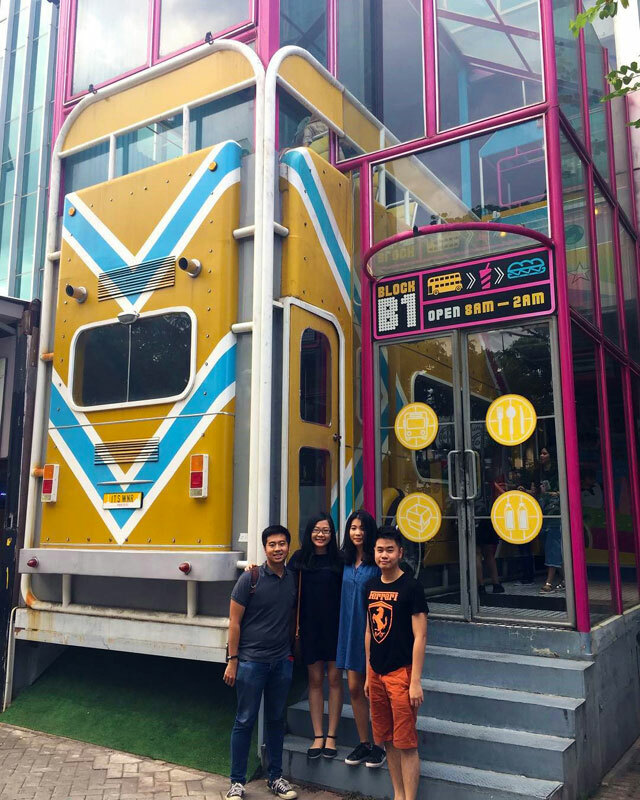 As Wraps and Rolls is as Instagrammable as restaurants get, you won’t have to worry about staging that perfect family photo – just snap some photos of the kids having the time of their life aboard this psychedelic bus! 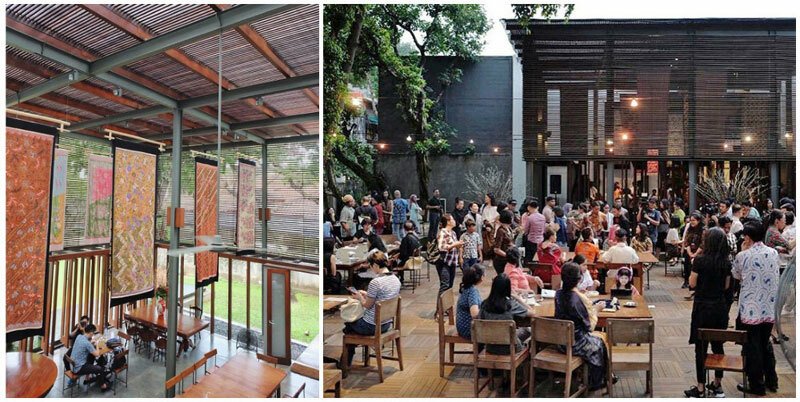 If you’re looking to spend the afternoon immersed in something a little more creative than cartoons and Candy Crush, look no further than the ever-hip Dia.Lo.Gue Artspace in Kemang. Don’t let the “art” part scare you – this spacious venue has plenty to offer for parents and kids alike. 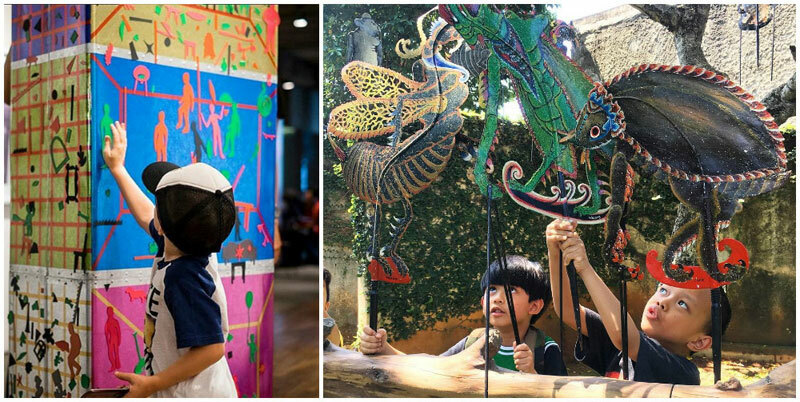 With regular art exhibitions, workshops, live music and more, Dia.Lo.Gue invites you and your kids to explore, discover and delight in the magical world of all things creative. 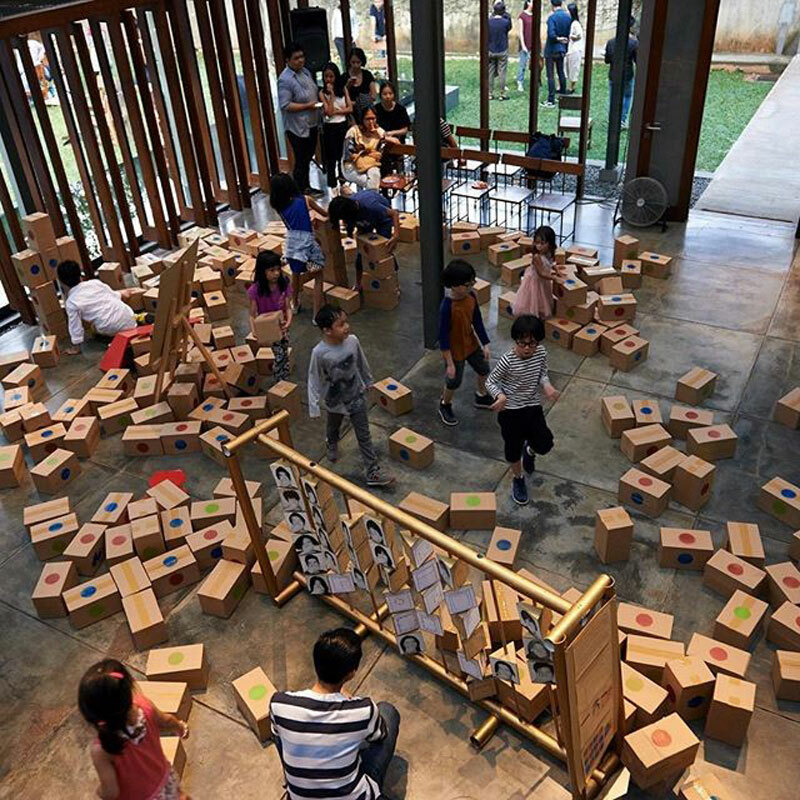 To keep the little ones thoroughly entertained, the venue has introduced Dia.Lo.Gue Playground, where kids get to release their creativity and take part in art projects without losing their sense of playfulness and natural curiosity. 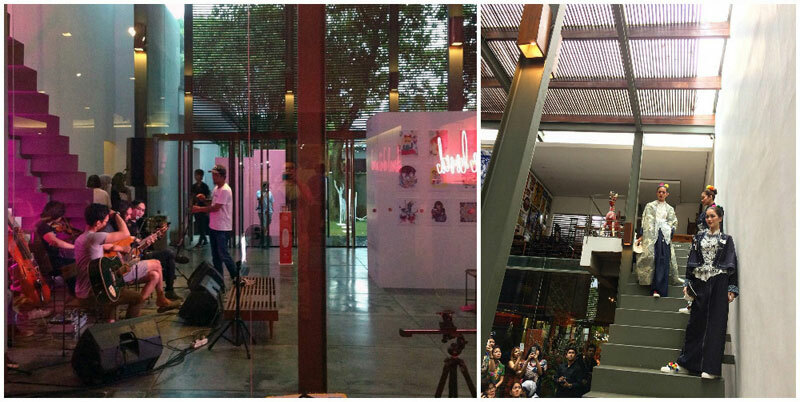 Dia.Lo.Gue also hosts special workshops and other activities specifically designed for kids. 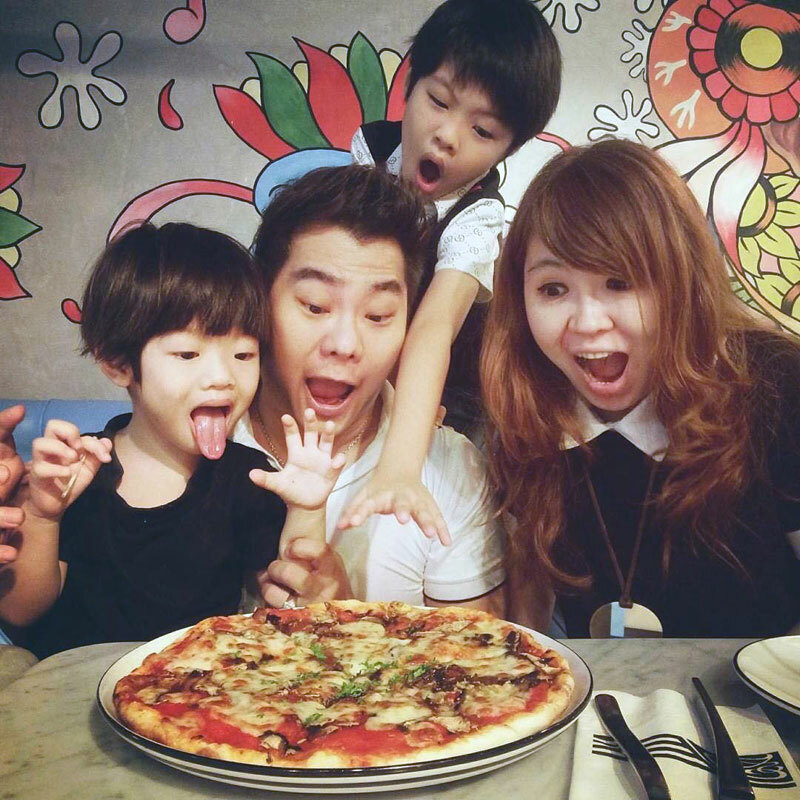 To balance out all that artsy stuff, why not treat your kids to a good old-fashioned pizza at Dia.Lo.Gue’s own restaurant? Some love it, and some hate it – but we can’t deny that this particular cute cat is a force to be reckoned with. Just look at all the merchandise Sanrio has come up with for Hello Kitty fanatics lovers. 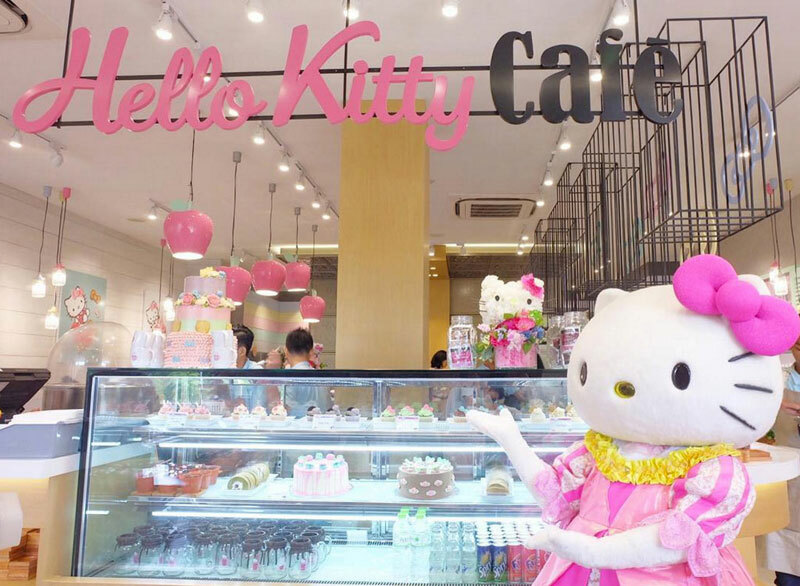 In any article about themed cafes, you’re almost sure to find a Hello Kitty Cafe, and this one’s no different. 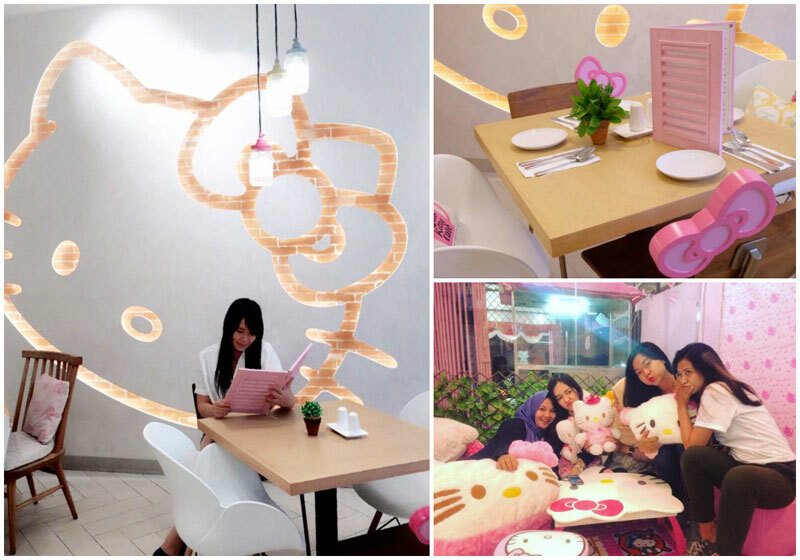 For the Hello Kitty lovers in Jakarta, or visiting, you won’t want to miss this Hello Kitty Cafe. 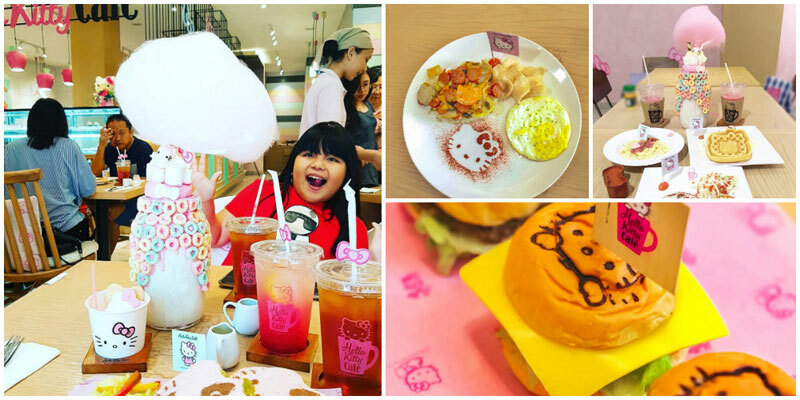 Opened recently in May 2016, the cafe serves up treats such as delectable Kitty Sliders (Read: mini burgers), and naturally, more Hello Kitty-themed eats. You can’t help but squeal “kawaii!! 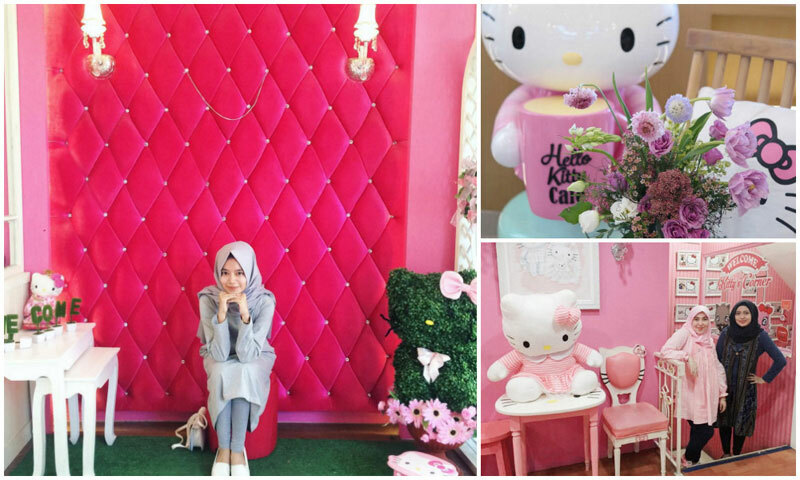 !” with the cutesy decor from cute wooden chairs complete with the signature Hello Kitty bows, to life-sized Hello Kitty sculptures and other similar paraphernalia. 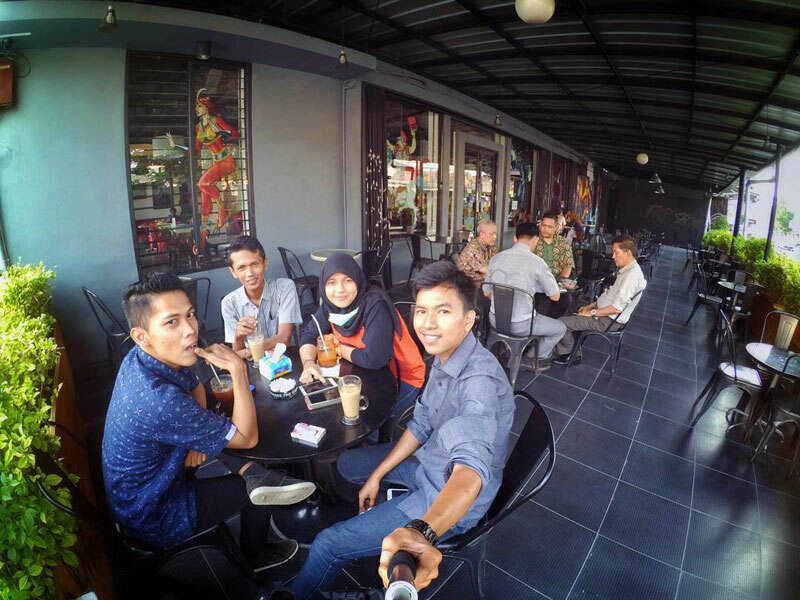 With the slogan “We are not your usual javanese diner serving the common javanese cuisine.” – you know Mbah Jingkrak definitely has something exciting in store for you. 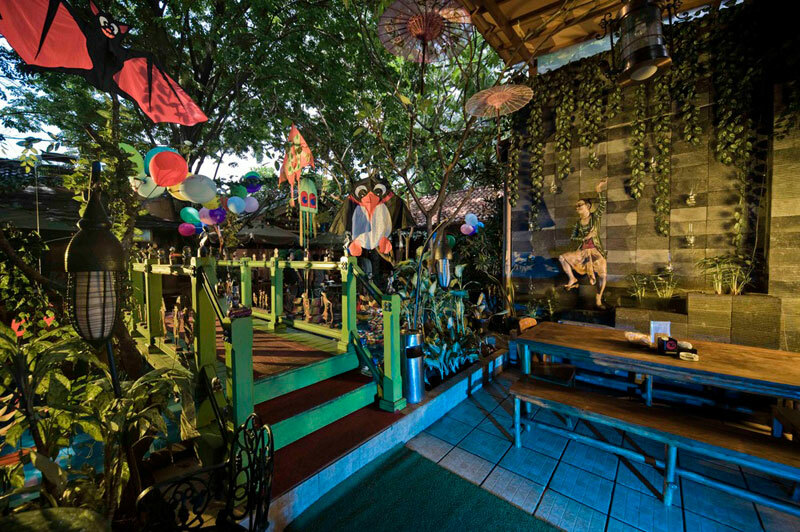 This unique restaurant blends traditional Javanese cuisine with a twist, with eccentric playground-type decor. 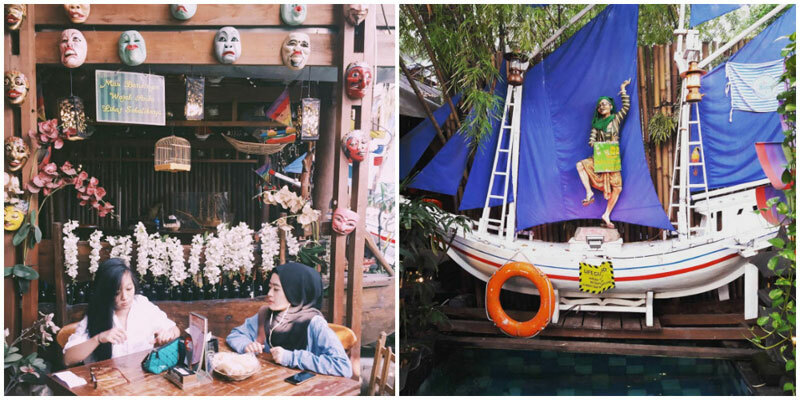 There are balloons and kites strewn around the garden, and colourful ball pit balls floating in the pool, along with vintage Javanese decor. We don’t quite know how to describe it, so we’ll let the pictures do the talking. 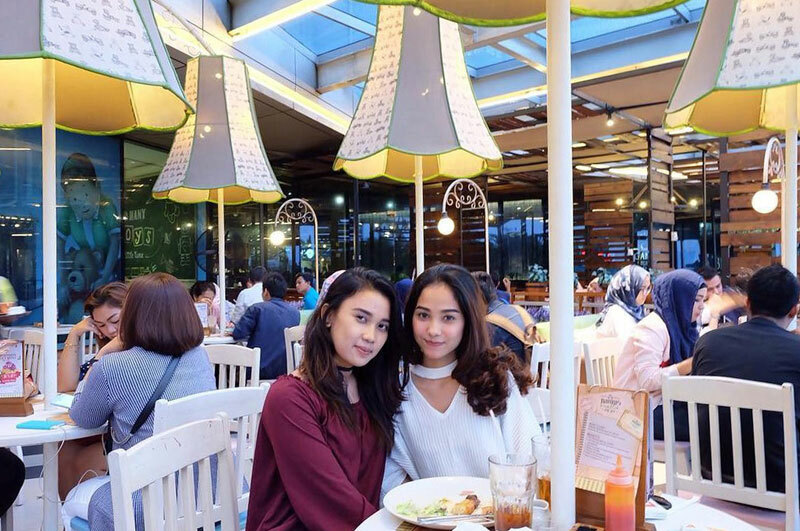 Decor aside, the authentic Indonesian cuisine available here will satisfy your cravings for some good old Nasi Bakar, Ayam Grandong, and Bebek Galau. 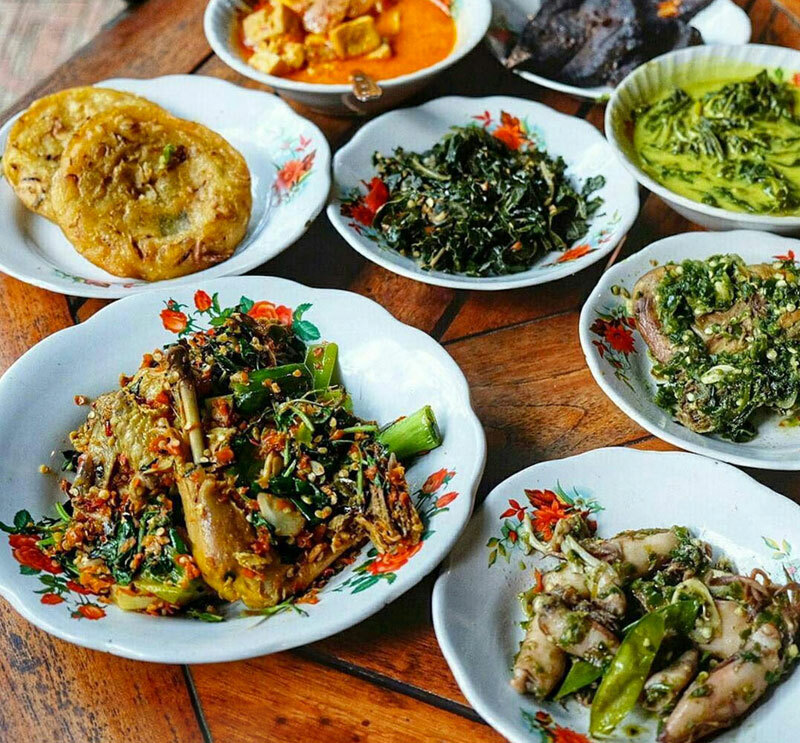 Chicken, duck, beef, fish, vegetables, sambals and so much more, you are guaranteed to go home belly happy at the end of the day. Just make sure to snap some photos of the really interesting decor around every corner of the restaurant! 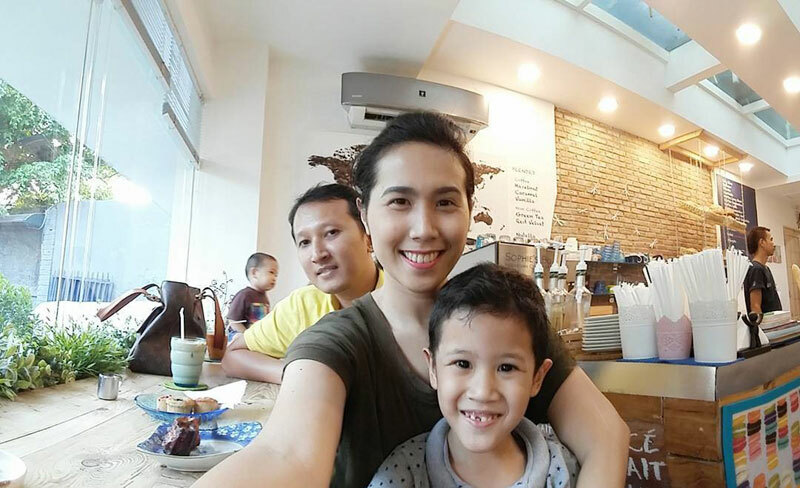 Sophie Authentique is a French bakery with five adorable outlets dotted across South Jakarta. 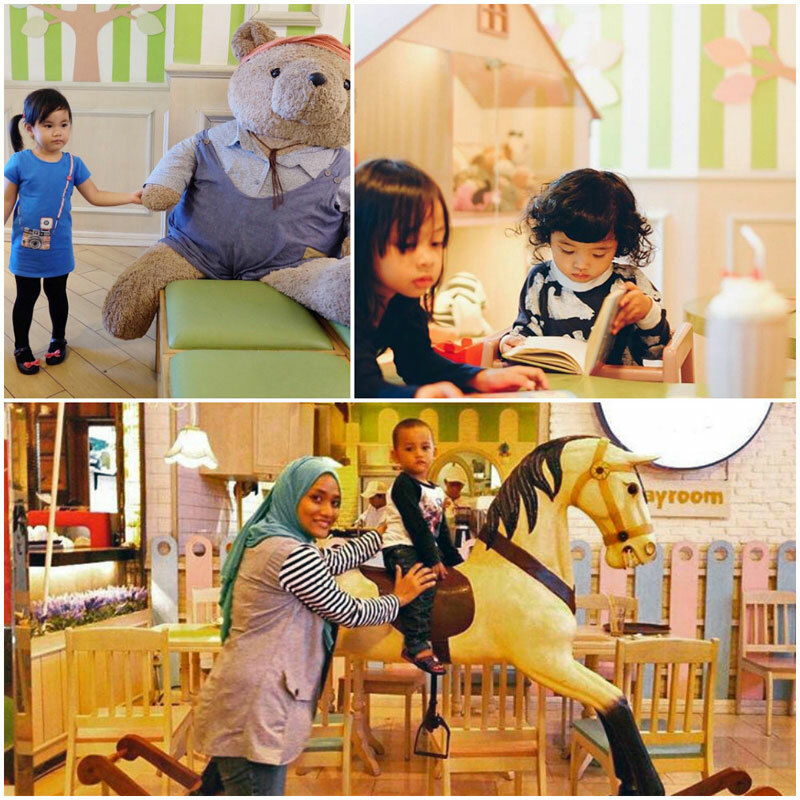 The venues in Kuningan City and Cipete stand out as the most family-friendly. With swings suspended from the ceiling and chalkboards encouraging creativity, kids will have a blast while mom and dad get to indulge in a little French ambience. The cafe serves authentic home-baked French pastries, ranging from croissants to canelés and beyond! For some chocolate bliss, try the gluten-free chocolate tart, and for fresh flavours, opt for the exquisite almond fruit tart. 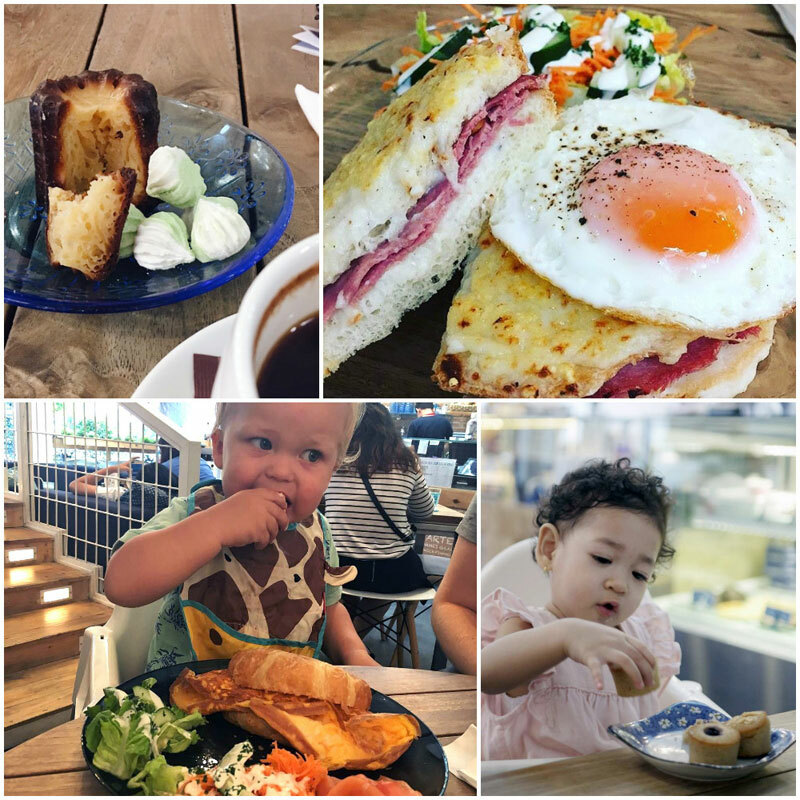 Should your kids lean towards the picky side where anything French might seem just a bit too foreign, fear not – Sophie Authentique also makes chocolate brownies and even serves salads and sandwiches for those craving something savoury. 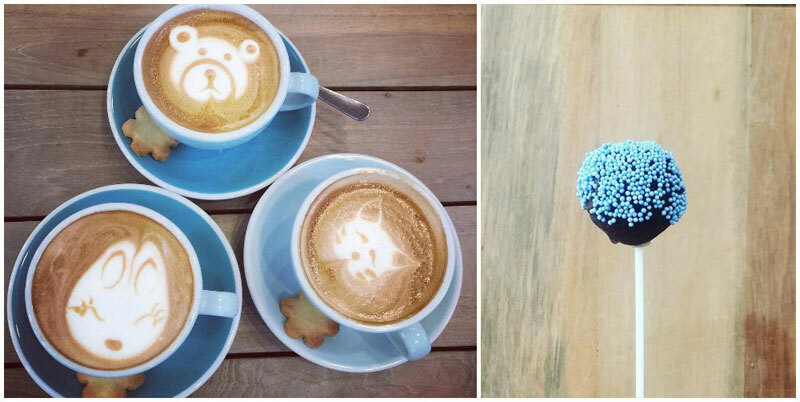 Cute alert – the Cipete outlet has just started serving cake pops! There’s also a “Baby Cino” for the little ones who want to copy their coffee-loving parents. 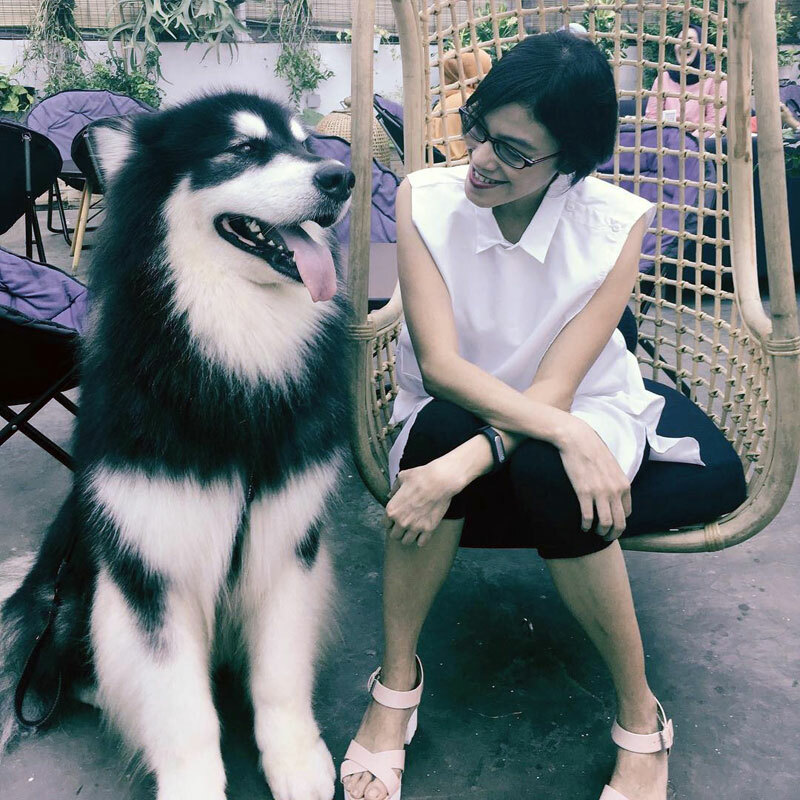 If you or your kids happen to be animal lovers, dogs are actually welcome at Sophie Authentique, so you might even make a new furry friend or two! 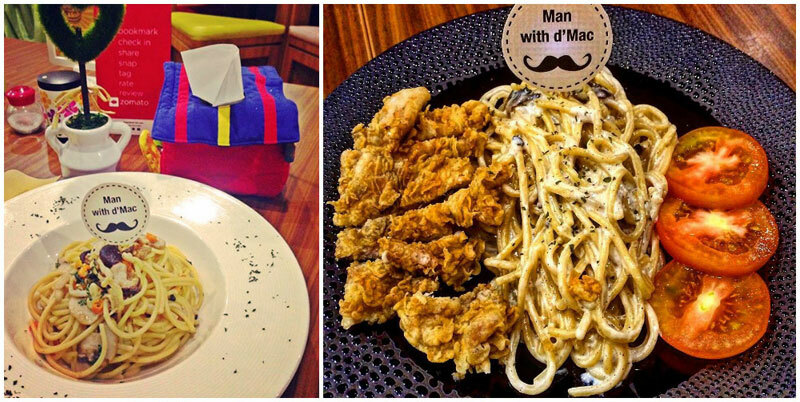 Macaroni House is a real double threat. 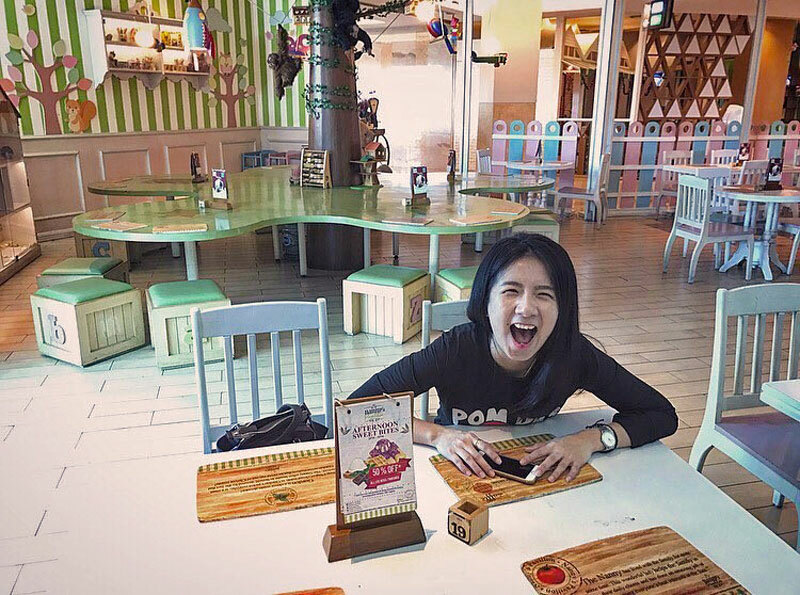 Not only does this restaurant serve a dish loved by kids all over the world, it also has a playful design specifically targeted at the little diners! 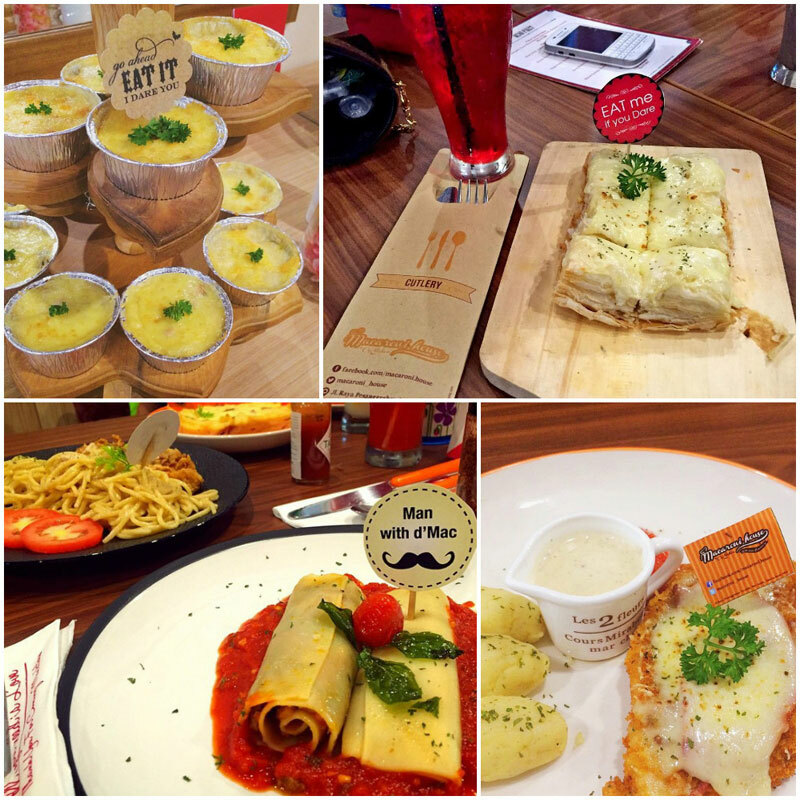 Yes, as you can tell from the name, Macaroni House specialises in these gooey, cheesy pasta confections – macaroni. We don’t know about you, but the sheer cheesy grandeur of their Carbonara Baked Macaroni has pretty much rendered us speechless. 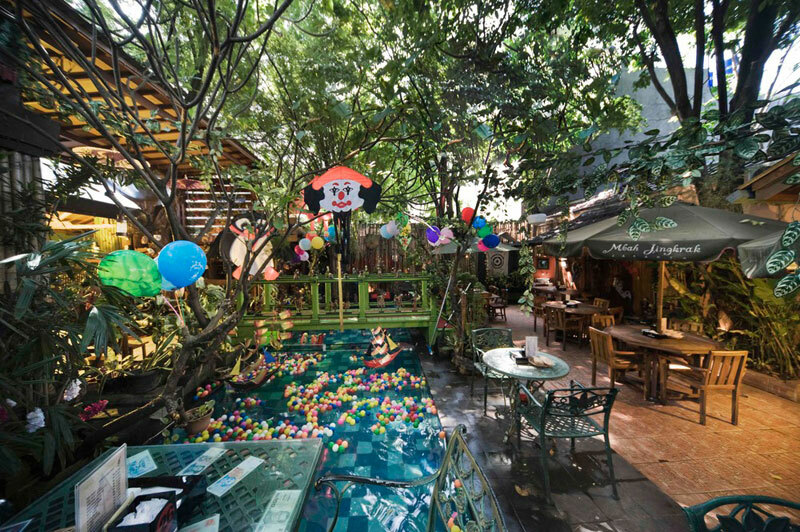 The restaurant houses a miniature playhouse and the tables are decked with toys and crayons, allowing kids to release their inner artist while waiting for their food. 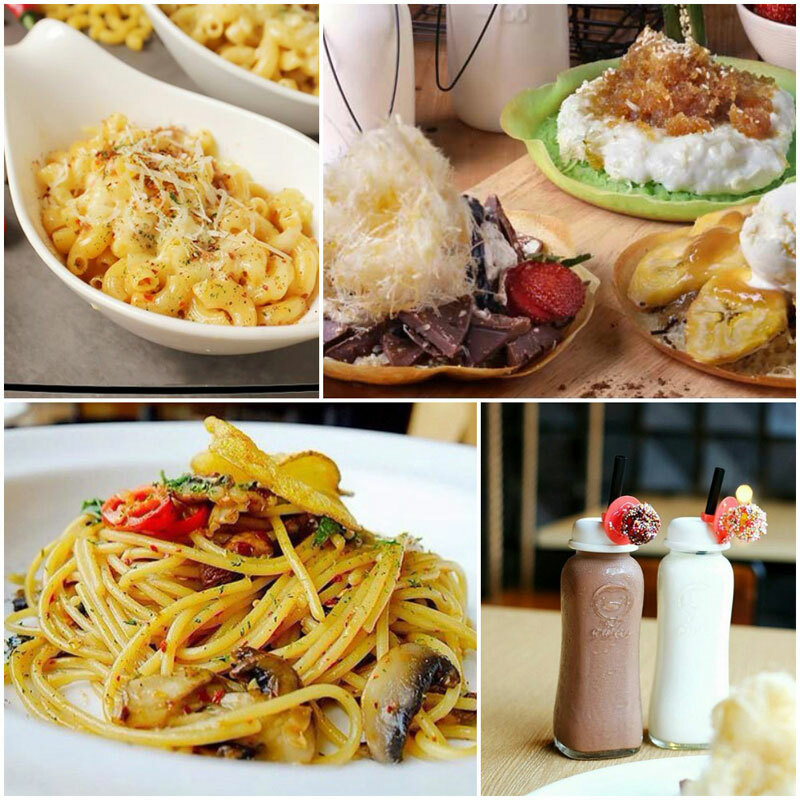 To accommodate diners of all sizes, Macaroni House serves their pasta dishes in cute miniature sizes as well as hearty portions that are big enough to feed the whole family. 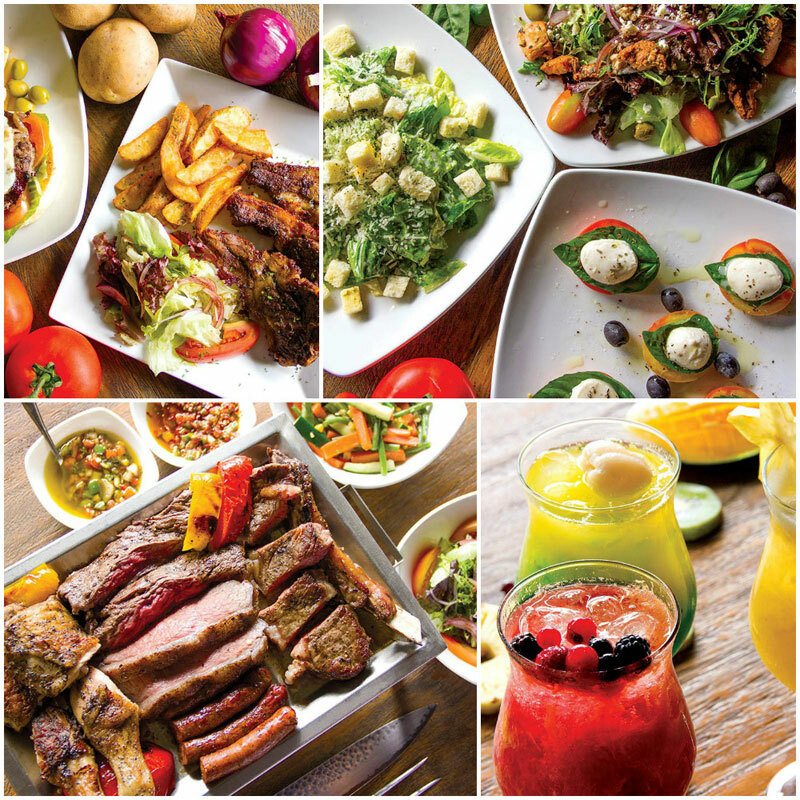 El Asador offers prime meats and scrumptious barbeque – we dare any diehard meat eaters not to fall for their mixed platter, which will give you taste of all the meats on offer. 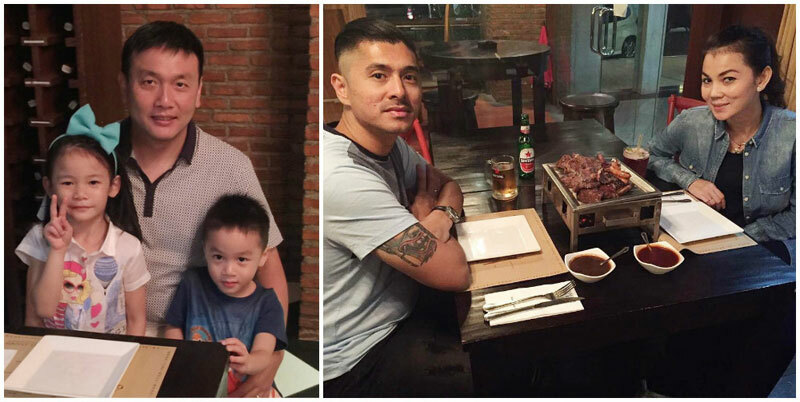 This South American steakhouse is also the perfect venue for those nights when you’re looking to enjoy a nice long meal and want to make sure that the kids don’t start feeling antsy in the middle of your main course. As it turns out, this sleek steakhouse houses a designated kids’ room! 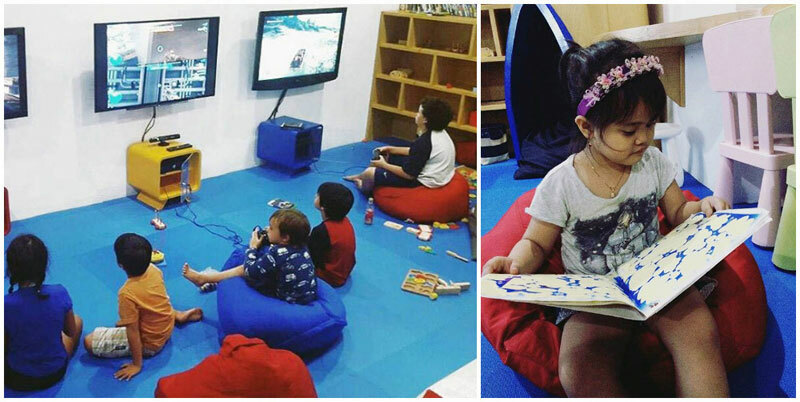 So even if parents linger at the table for hours on end, we doubt the little ones would even notice as they spend their time in the state-of-the-art kids’ room furnished with television screens, console games, toys and comfy beanbag chairs. 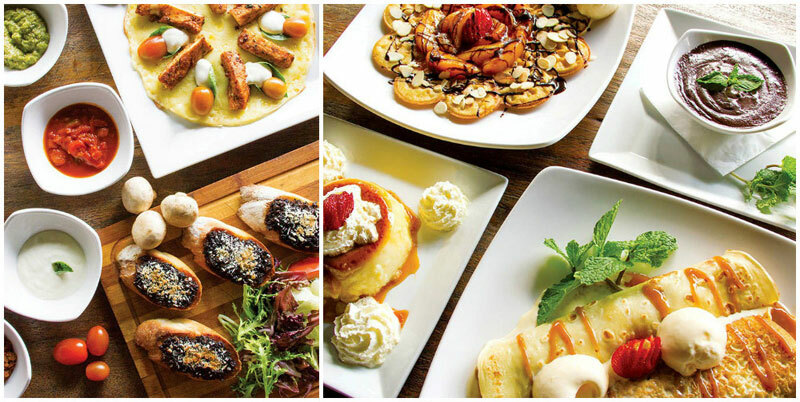 Once you’re able to tear the kids away from the playroom, seat them down at the table with you – El Asador offers several generous portions of meats tailor-made for sharing, making dinner at the restaurant a real family affair! 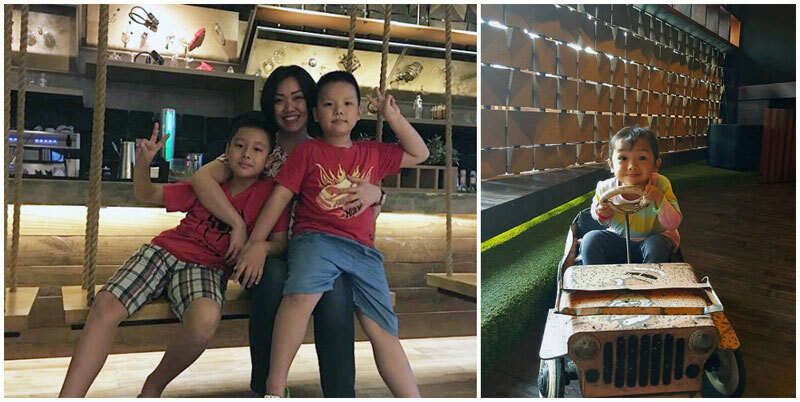 While Nanny’s Pavillon has several charming outlets in Jakarta (and beyond), each boasting of a unique theme, our guess is that the Playroom located at the Kota Kasablanka mall will be your kids hands-down favourite of the bunch. The name says it all – at this whimsical outlet, it’s all about fun and games. Even the chairs are giant toy blocks! And it’s not just pretty decor. 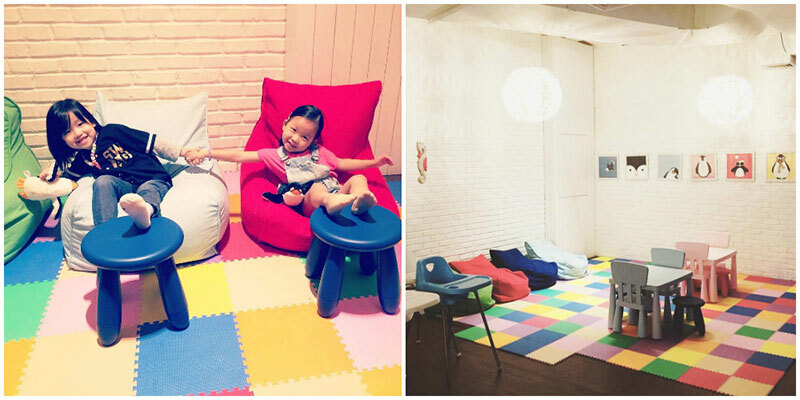 True to its name, the Playroom also has plenty of toys, books and games for the kids. 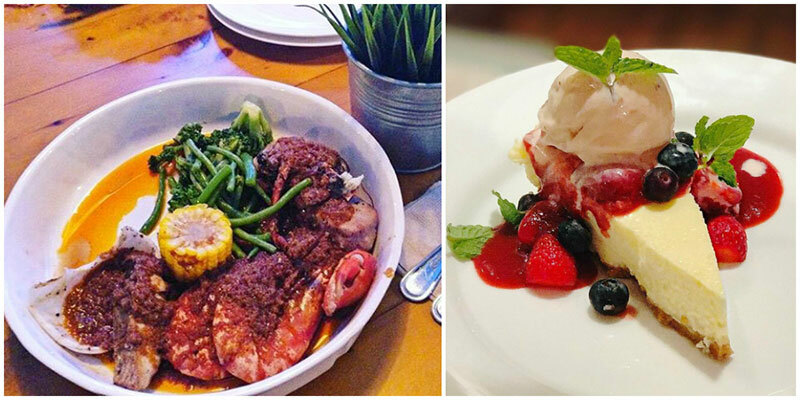 Don’t miss Nanny’s Pavillon Instagram-worthy desserts! 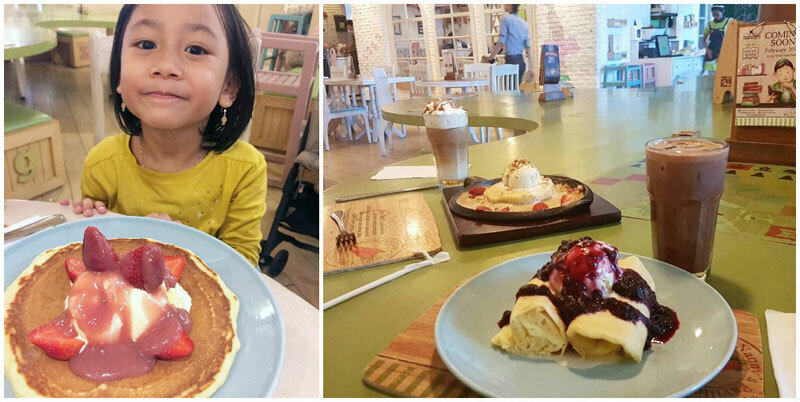 You can’t go wrong with any of their signature pancakes – the sizzling hot chocolate pancake served on a cast iron skillet is bound to impress the little ones. 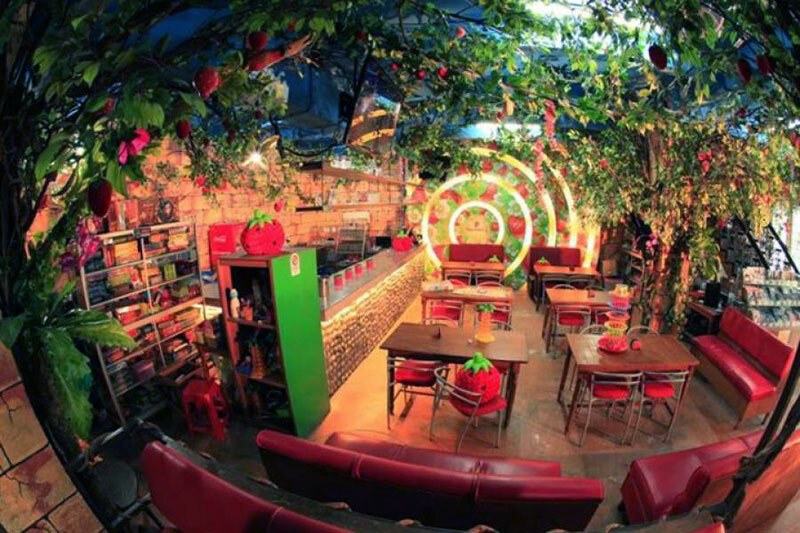 It’s vibrant and colourful and totally looks like an indoor strawberry farm with the decor of strung up vines and strawberries all around. 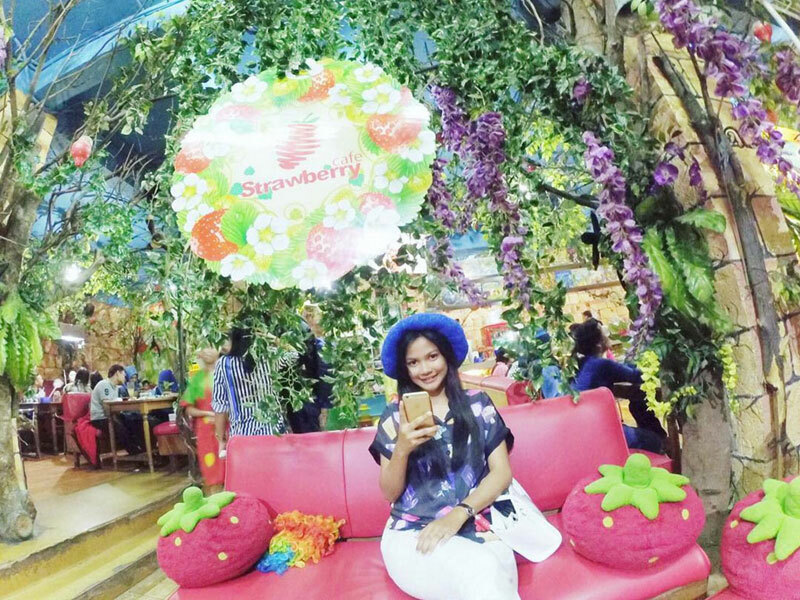 Visiting Strawberry Cafe is a fun activity to do for everyone from family to friends and couples. 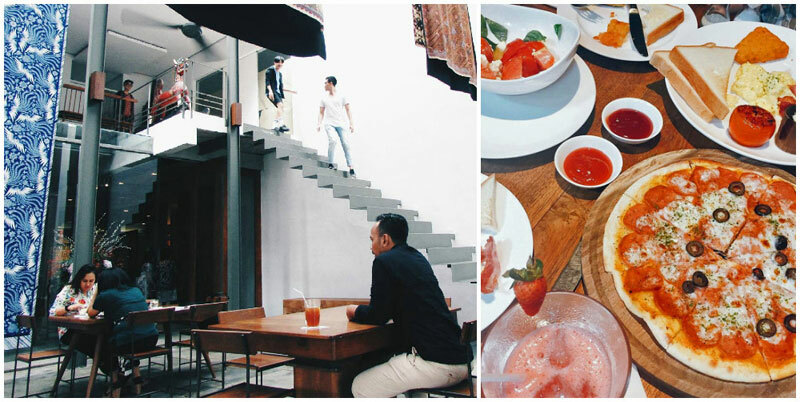 While the cafe itself is strawberry themed, there’s more to it than just strawberries. The fun part about this cafe are the games available! 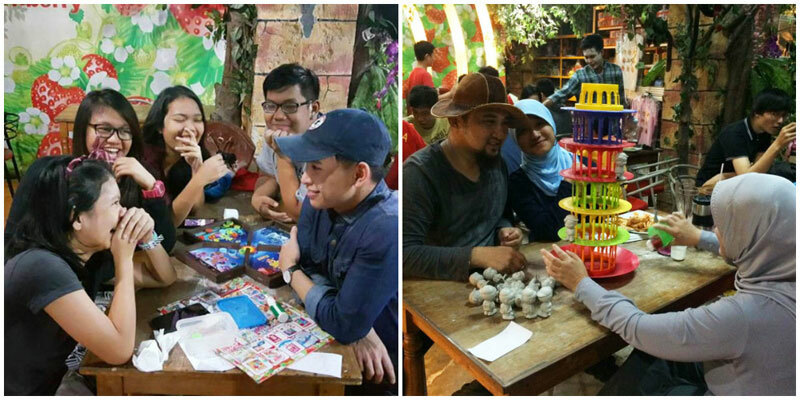 There are games for kids, strategy games and even 2-player games available for couples too. 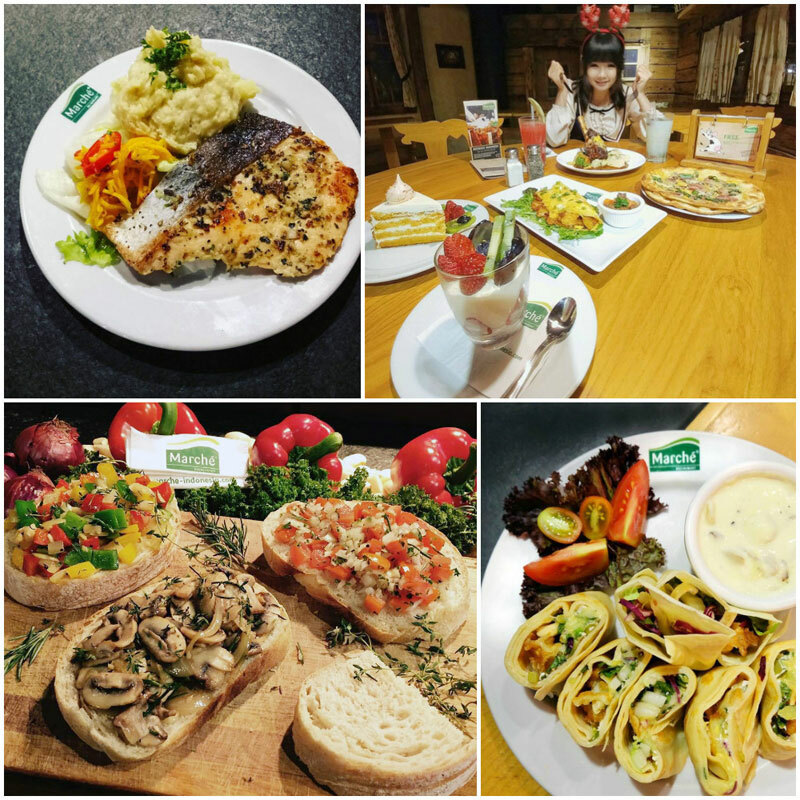 You might also be happy to know that free WiFi is available here so you can easily instagram/insta-story/snapchat your day at Strawberry Cafe. The menu is pretty diverse with food like Chicken Cordon Bleu with Fries, and Ayam Goreng Rempah Bandung. There’s also a good selection of ice cream and interesting sundaes, as well as unique drinks like Strawberry Volcano available too! 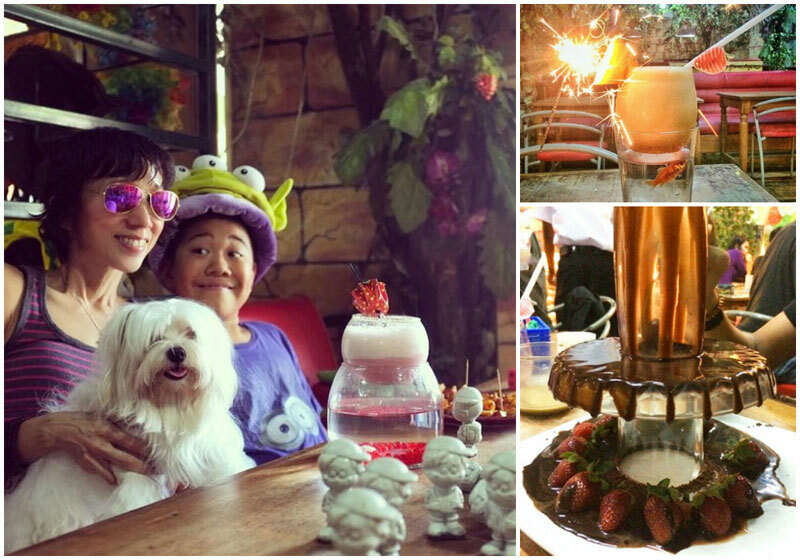 Basically, a day here will be a day of fun games, and exploring the creative offerings of Strawberry Cafe! 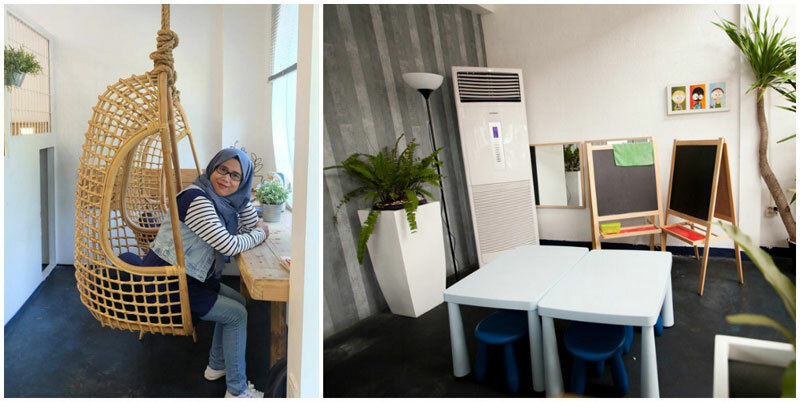 PS: Apart from the outlet in Jakarta, there’s another one at Jln Lenteng Agung Raya No. 49 Depok too! 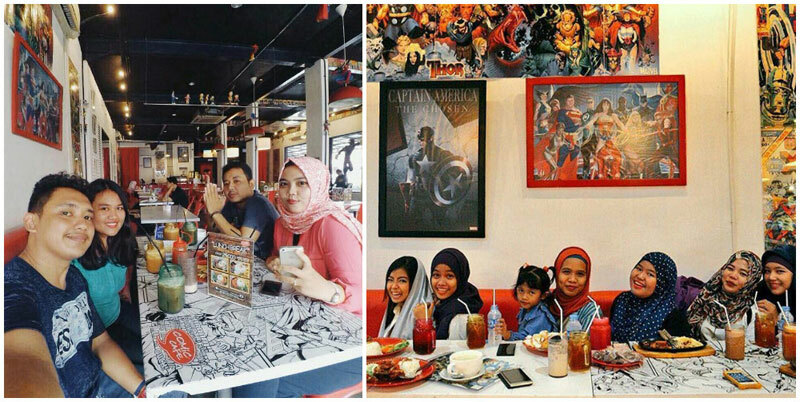 Regardless of how old you are, Comic Cafe is every comic fan’s dream come true. Here, you’ll find comic book characters plastered all over the walls – there are even some creative manga doodles scribbled onto the table tops! You might also catch the Caped Crusader and other action figures keeping an eye on the place – watch out for the cartoon daredevils climbing down the lampshades! The food is a mix of Western favourites with a bit of local flavour thrown in for good measure – watch out for the spicy nasi goreng! If you’re feeling really hungry, try the super creamy pasta carbonara. For dessert, waffles topped off with your choice of blueberry, banana or strawberry ice cream are guaranteed to be a big hit with the kids. 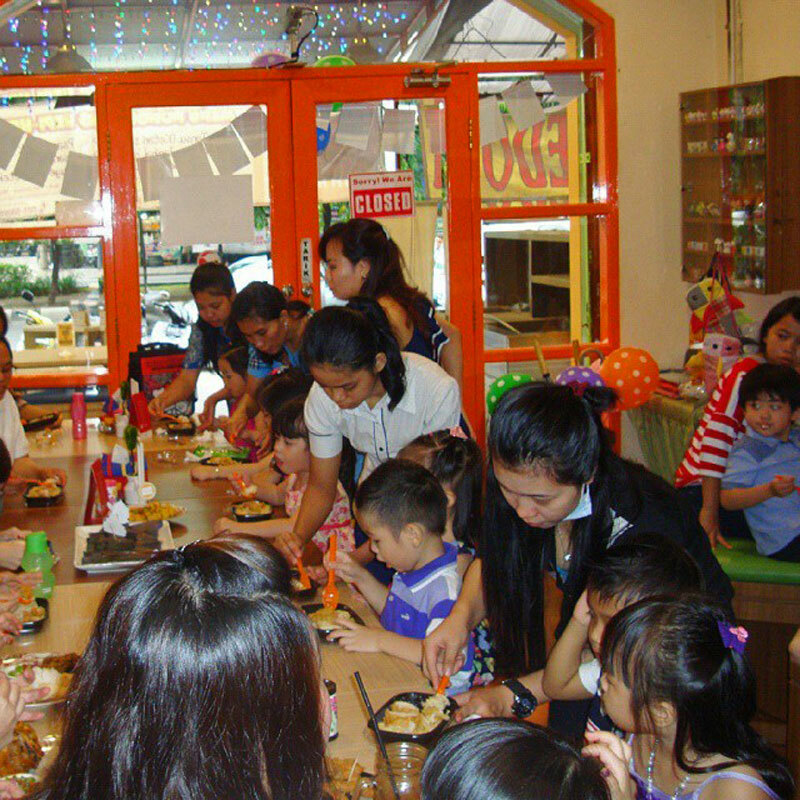 In addition to the restaurant’s superhero appeal, Comic Cafe also has plenty of room for the little ones to roam about, with seating available both indoors and outside on the patio. 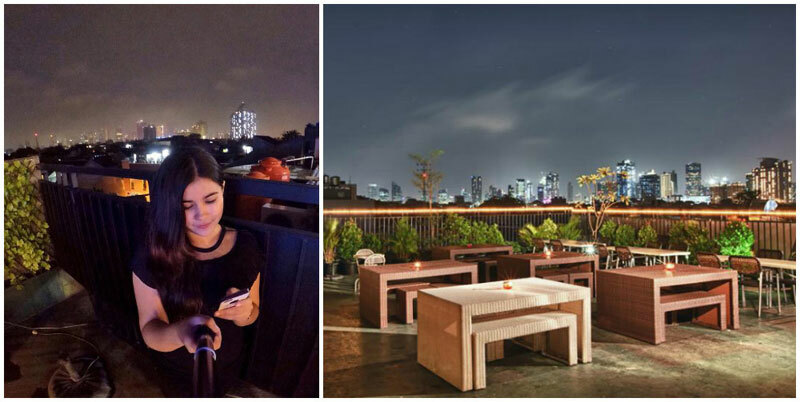 For a bit of extra dazzle, pop up to Citiscape, Comic Cafe’s rooftop venue which is open between 4pm-11pm and offers sweeping views of the Jakarta skyline. Keep your eyes peeled for the Bat-Signal! While sitting down to a ready-made meal is great, nothing quite beats the taste of something you’ve cooked yourself. 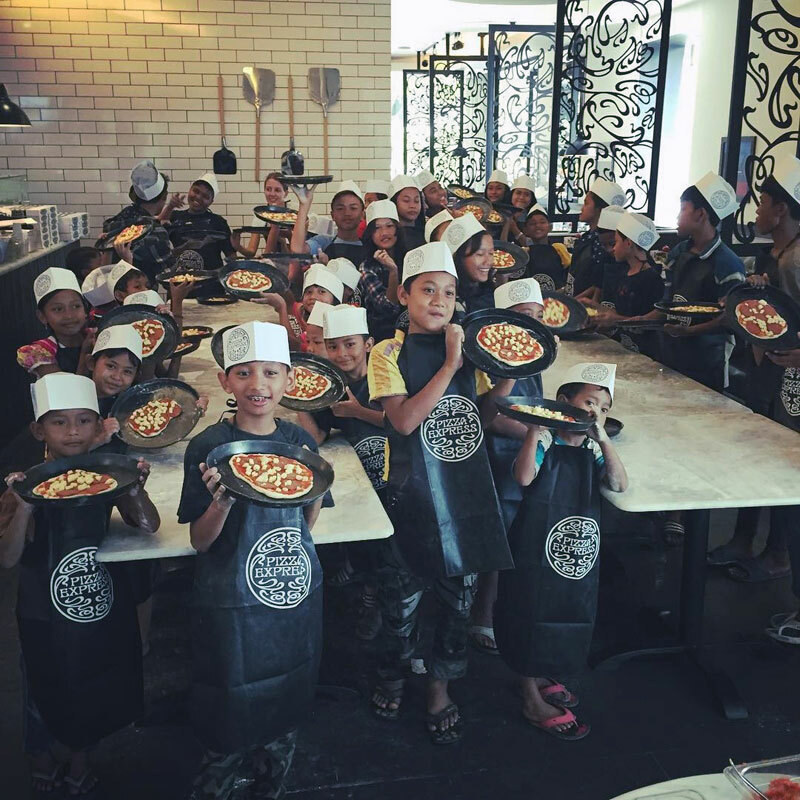 So the next time it’s your turn to plan your kid’s birthday bash, why not treat them to an epic pizza-making party at Pizza Express! 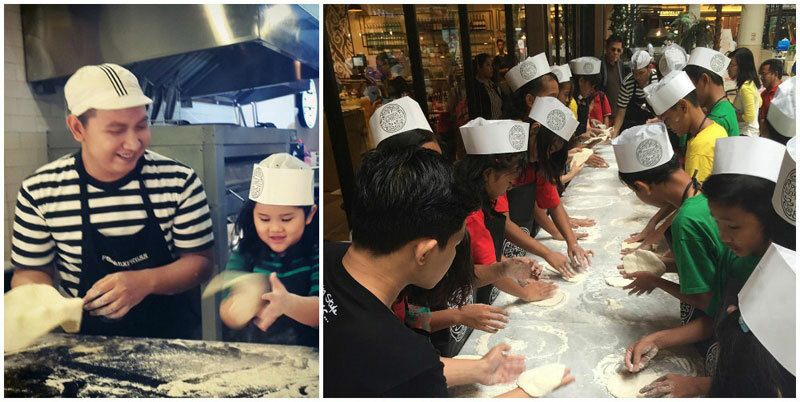 During the pizza party, the lucky little guests are encouraged to make a real mess in the kitchen, munch on complimentary gelato and chocolates, and of course, eat the pizzas they’ve made from scratch! The pizza parties are designed for a minimum of eight kids, so if you invite less than eight guests, you will still be charged for the price for eight children. 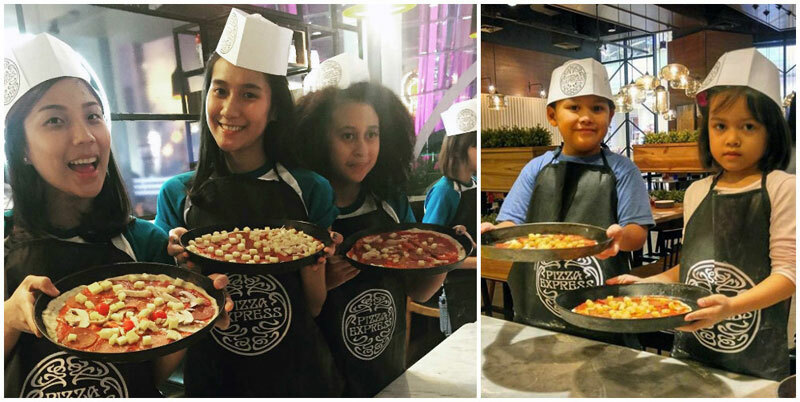 Pizza-making parties are available in several Pizza Express restaurants across Jakarta – we’ve listed some below. You can check out all the participating venues and make the necessary arrangements on Pizza Express’ website. 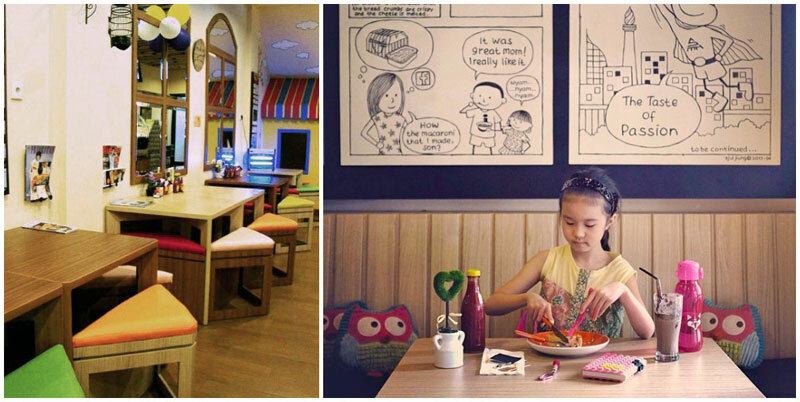 Are there any other family friendly restaurants in Jakarta we missed? Do comment and share with us!